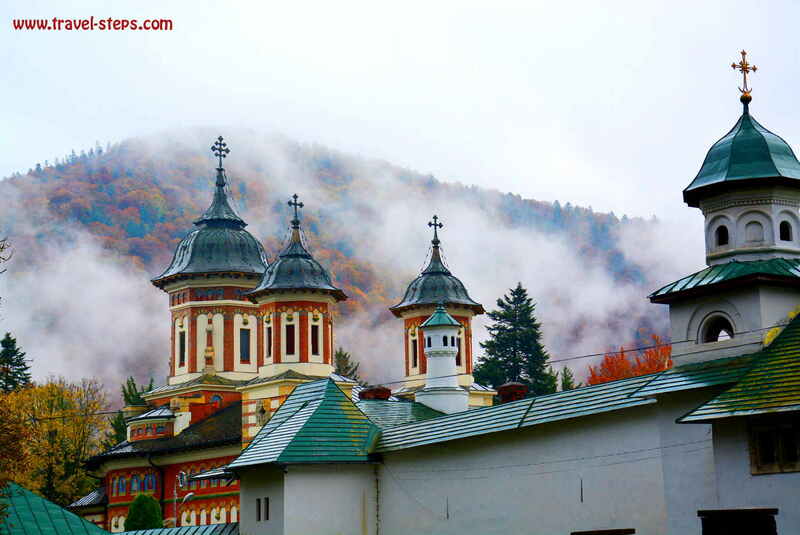 Our plan for a holiday in Romania in October: To spend six days traveling around Romania from Timișoara to Brașov, Bran, Sinaia and Bucharest for 150 Euros per person including flights from Berlin, food, transport and accommodation. We really made it and had a great time. For sure, Romania it not all about Dracula and Transylvania. 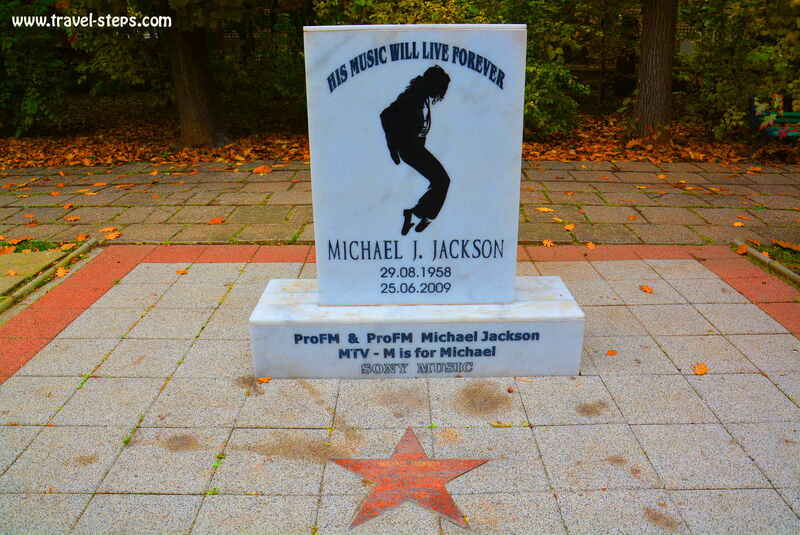 But for many tourists, these are still the main reasons to go there. 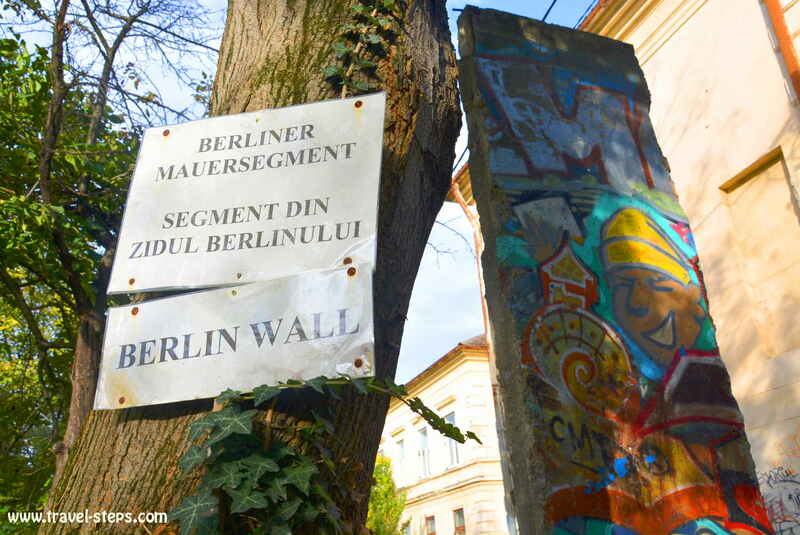 We got cheap flights from Berlin to Romania, slept in hostels and cheap hotels, that are spred arcross the country. We ate traditional food and traveled by train. 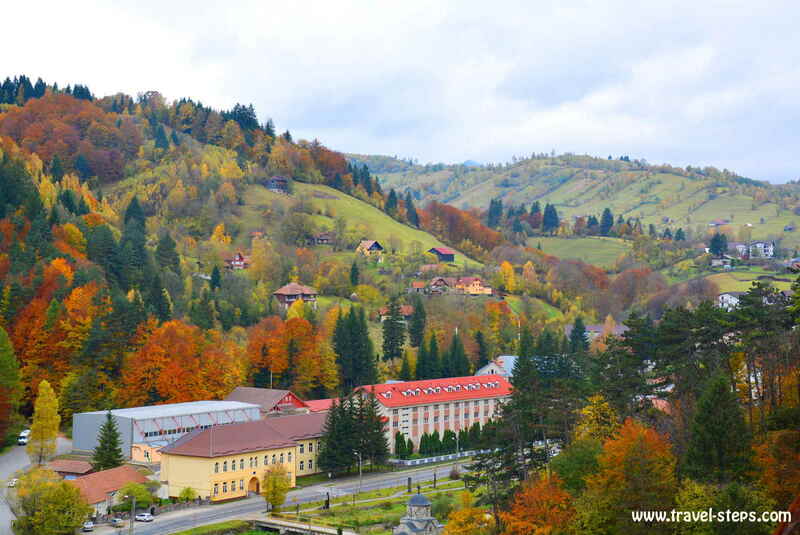 There are a number of free things to do in Transylvanian towns like Brașov, Bran as well as in Sinaia and Bucharest. To be flexible while backpacking around Romania, we just carried small backpacks with us. A few fresh shirts, underwear, miniature toiletries and a camera. It was great to feel light while traveling Romania. 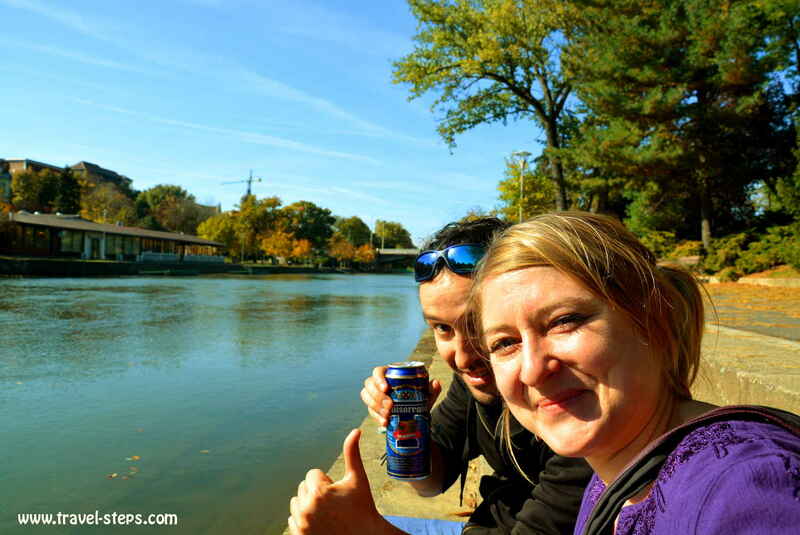 And we were ready for an Romanian adventure facing all our own stereotypes. 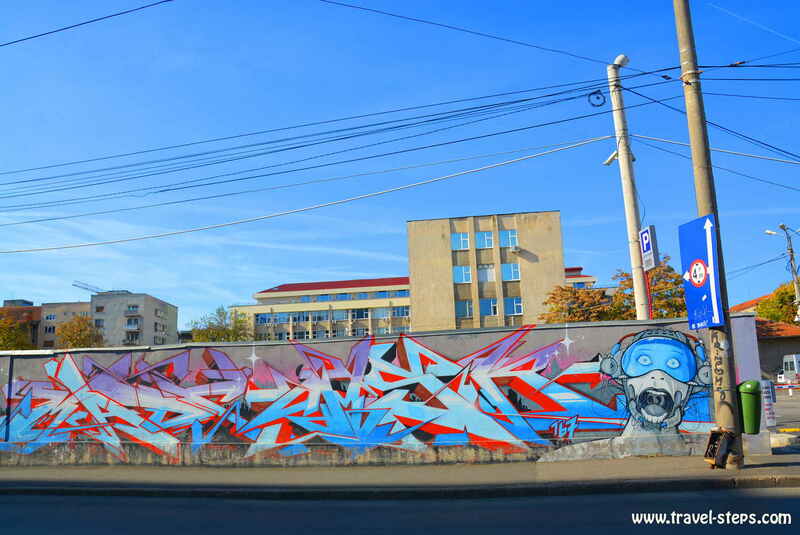 Read more about our experiences traveling in Romania….. I had no idea about Romania before I went there backpacking. Well, I am European and I knew the basic facts about Romania before traveling there. But I had seen the Romanian beggars in German cities, limping or with babies on their knees. I knew about the Romanian workers living in Germany under really bad conditions squeezed in sleeping rooms with a dozen people hoping for a better future. To say it in an extreme way: In my mind, Romania was somehow a country full of mystery and maybe a lot of palm reading Sinti and Roma living in poor huts in suburban Bucharest and in some villages somewhere around Dracula’s castle, wearing scarfs and old-fashioned worn out clothes. I expected the number of well-off people being super small. I expected gray sky, beautiful landscapes in fog, run down farm houses, donkeys on the fields. I had expected horrible roads, bad public transport, bad hygienic conditions. I had expected to feel stupid as a tourist and not being able to communicate in English. Romania is a great country for backpacking with cheap and very reliable public transport, great food deals and hostels. Me and my partner traveled without any problems spontaneously by train from Timișoara through Transylvania to Brașov, Bran, Sinaia and Bucharest. 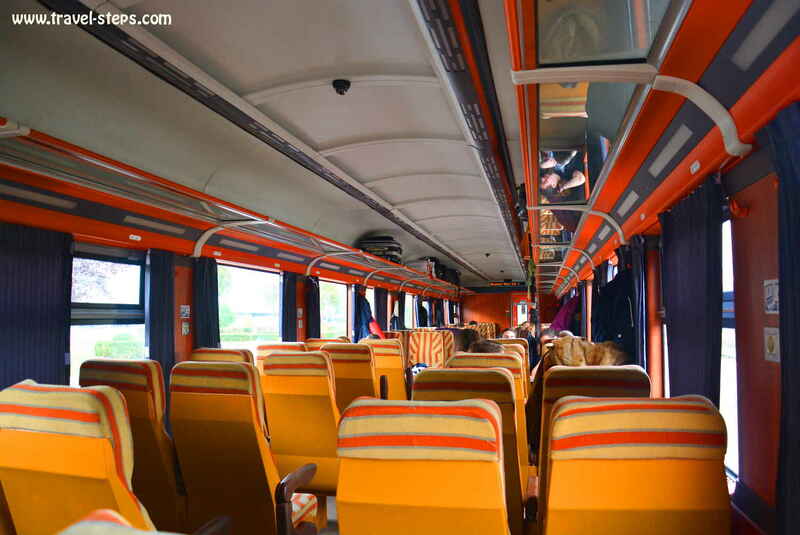 Just be aware, that public transport – busses, trains and minibuses – in Romania is very slow. I’d recommend to choose a few exiting places to visit – and to explore them properly instead of rushing from sight to sight. Otherwise, you will spent a lot of time in trains and busses. Very interesting about a backpacking trip around Romania: You will get some discounts for the trains in Romania if you make your bookings at least a week in advance. But even without booking trains in Romania in advance, we just spent around 28 Euros for all train rides from Timișoara through Transylvania to Brașov, Bran, Sinaia and Bucharest. There are cheap slow local trains and more expensive fast trains. With buses and minibuses, it might get even cheaper. Find official information about trains in Romania here. With mountain and sea resorts, great architecture, cheap food and some mystery, Romania offers enough entertainment for a few weeks of traveling almost all year round. 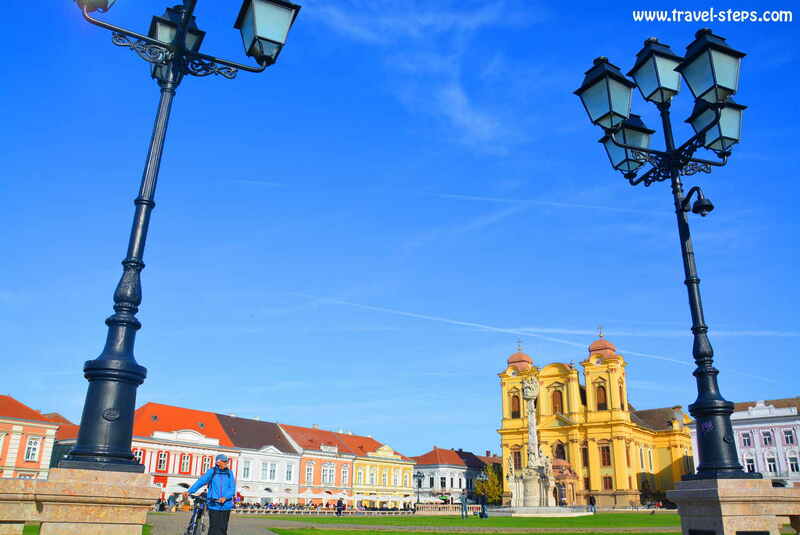 Also for single travelers or solo female travelers, I can recommend Romania as a safe country with lot’s of helpful friendly and open Romanians around. Well, I’m not saying, that there are no pickpockets and tourist scams waiting. They are. One of my female friends got robbed by street kids on a holiday trip. She is okay, but all her pockets were empty after that incident. But it clearly doesn’t happen on a daily basis to every traveler. 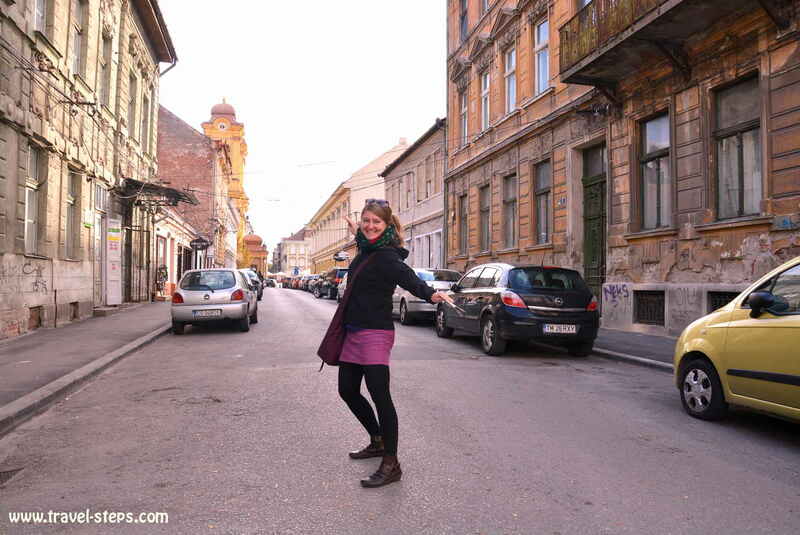 There was no single moment, when I felt unsafe or threatened while backpacking Romania. To avoid scams, this article on Trip Advisor might help. Well, there is poverty in Romania. But at the same time, it’s possible to be on backpacking trip around Romania seeing none of it. Really surreal and strange. I was constantly waiting for the beggars and street kids asking for money. Instead, I met young sophisticated people drinking expensive cappuccinos in creatively designed cafés on well restored picturesque city squares in cities like Timișoara, Brașov and Bucharest. 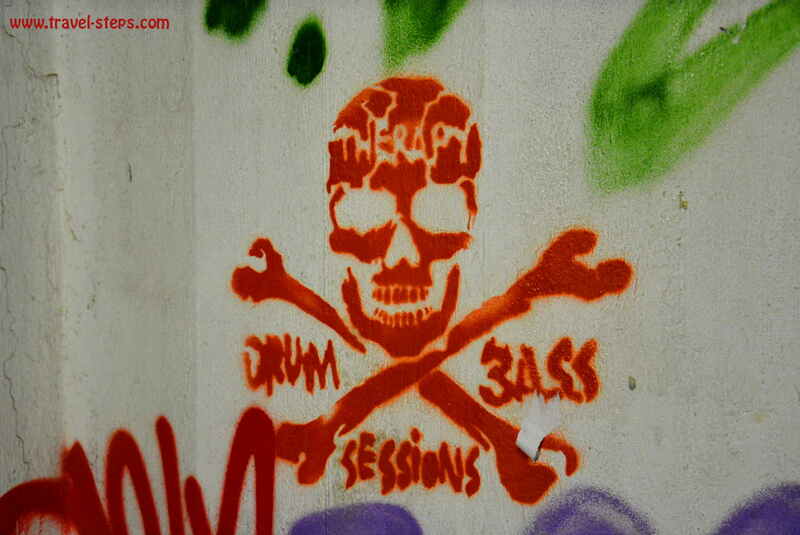 I saw people drinking beers in cool brewery bars listening to rock music. I met many English-speaking people. I had probably seen more dirty toilets in Germany than in Romania. No donkeys on the fields. And I met Romanian travelers in hostels laughing about me and my stupid ideas about their country. Some young Romanians, that I met on our backpacking trip had other stereotypes instead: “The Romanian beggars, that return from Germany, build large palaces with all the money, they had earned with begging from the rich Germans”, said one guy in Bucharest. That is, what some people in Romania really believe. The truth is a different one. That is for sure. Read more about Child Poverty in Romania, Read more about the rich Roma, Read more about the poor Roma. We started our backpacking trip around Romania in Timișoara. We arrived at Timișoara airport around 9 pm. It had been a super cheap flight from Berlin for just 3,50 Euros one way with Ryanair. Insane. Hard to believe, but true. 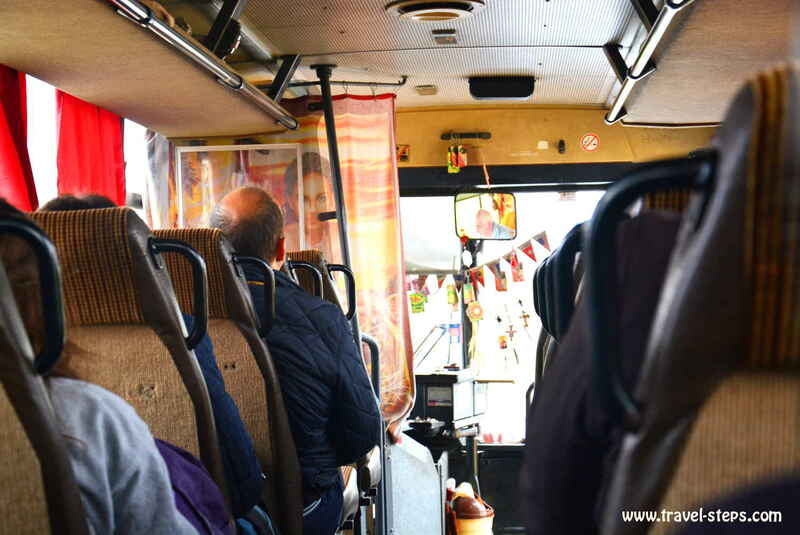 After our arrival, the airport bus No.4 took us to the city center to Piata Bratianu for 2,50 Lei per person. 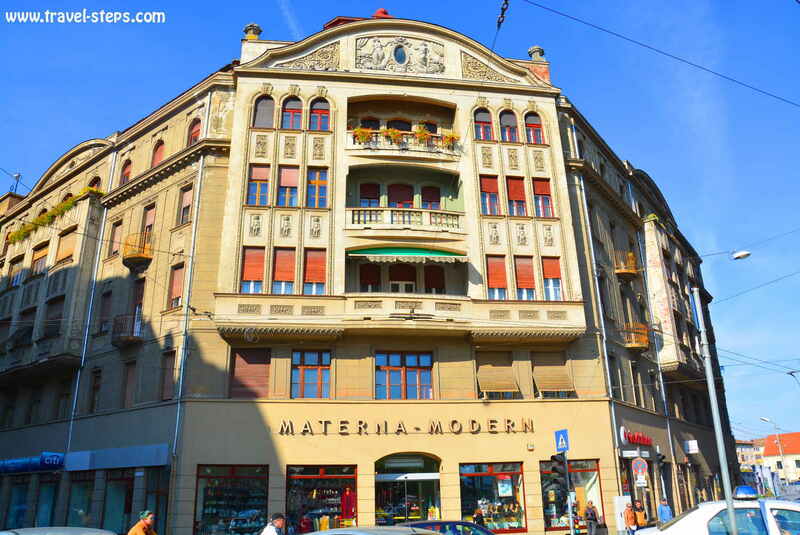 Coming from Germany, we felt, that the streets of Timișoara were hardly illuminated, the shops between some communist style buildings lacking any kind of flashy advertisements. And in the bus, we were not able to identify the names of the stops. We missed our stop. But no problem. The usual helpful Romanian was already offering help and walked us to our hostel. On our backpacking trip around Romania, people were really amazingly friendly to us. The double room in our hostel Mosaico Alfetta in Timișoara was lovely, the atmosphere was very welcoming, the location very central. And it can be a good spot to meet other travelers and to start traveling around Romania. We had booked the room online for 120 Lei per night, breakfast included. That is around 27 Euros. And who needs really sleep while traveling? We didn’t get much of it as the room was not really soundproofed. The common room and breakfast room was just in front of our glass door. No one expected the German family with four kids being up till after midnight and the freak from the dormitory surfing the internet and watching TV till 4 am. But they did. And we were too polite to tell them to shut up. At the evening of our arrival in Romania, we managed to start our walk to the city center of Timişoara around 10 pm. Hungry and looking forward to a Romanian beer. We really ended up in a brewery called Timisoreana. Really nice and welcoming rustic bar and restaurant. But unluckily, the kitchen was already closed at 10.30 pm. Same as in many locations in Timişoara with its more than 300.000 inhabitants. Forget about a nightlife in Timișoara. Just enjoy the day as much as you can. It was the same situation in many other places in Romania during out travels. There is simply no nightlife during the week. Or is gets hidden away from the common traveler. 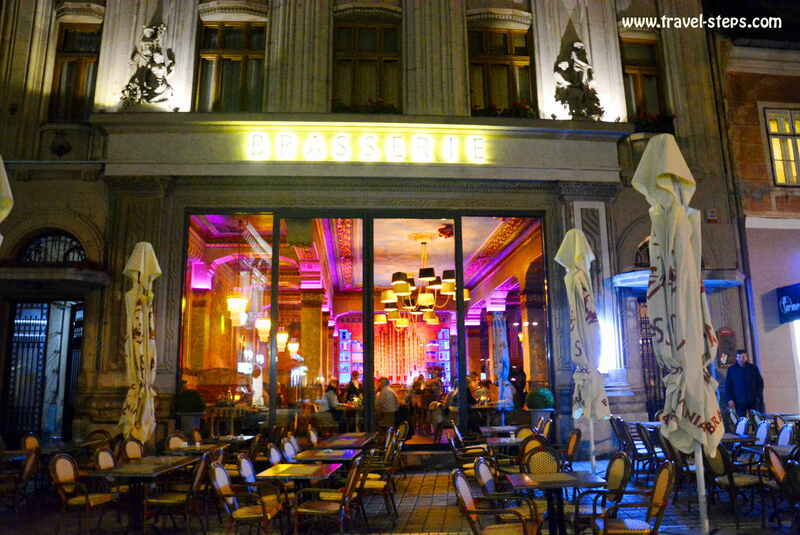 And sorry, I even doubt, that there is much of a public nightlife at weekends except from Bucharest. 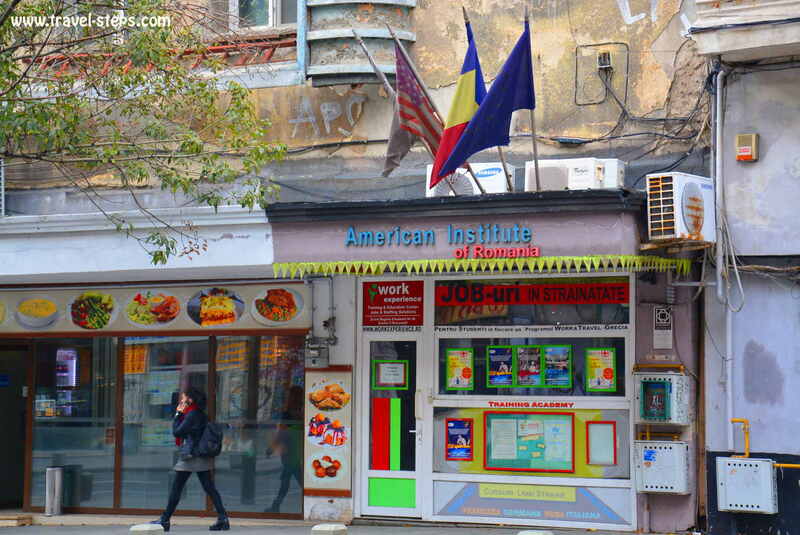 Although there is quite a number of restaurants and cafés in Romanian cities and tourist places. Daily life in Romania ends early during week days. Don’t wait to long in the evenings to go for dinner to a restaurant. It’s hard to believe, but if you don’t know the “hidden” local fast food places, you might end up hungry. This was my impression traveling around Romania in autumn 2016. 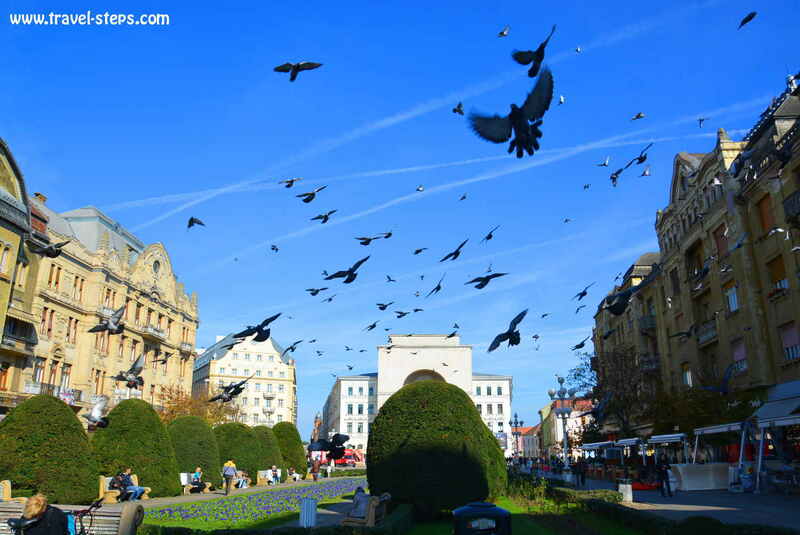 Doves were crying and flying on Timișoara’s Piata Victorei creating a mystic atmosphere on one of the main public squares in the city center. On a tight budget backpacking Romania, we were eating Langosi with cheese and cream (2,5 Lei, around 0,50 Euros) for lunch from one of the stalls close to the Orthodox Church, sitting down on one of the benches in the sunshine. 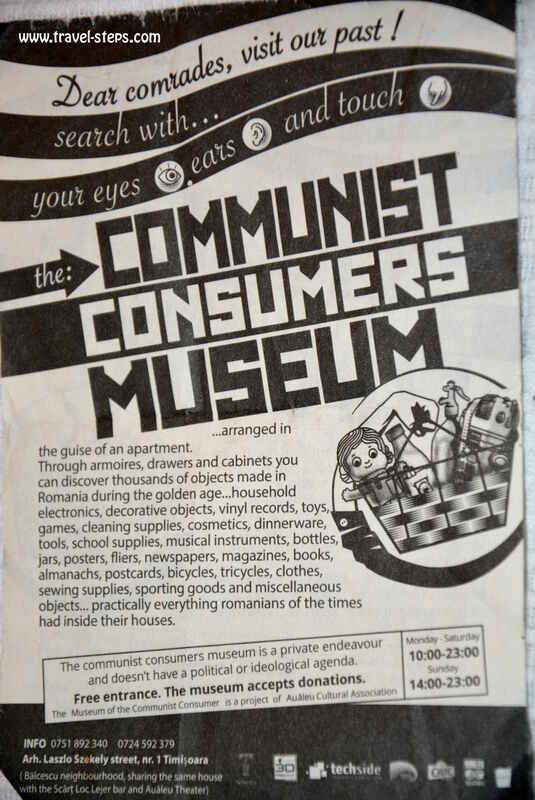 We spend our afternoon with time traveling back to communist daily life in the Communist Consumers Museum. 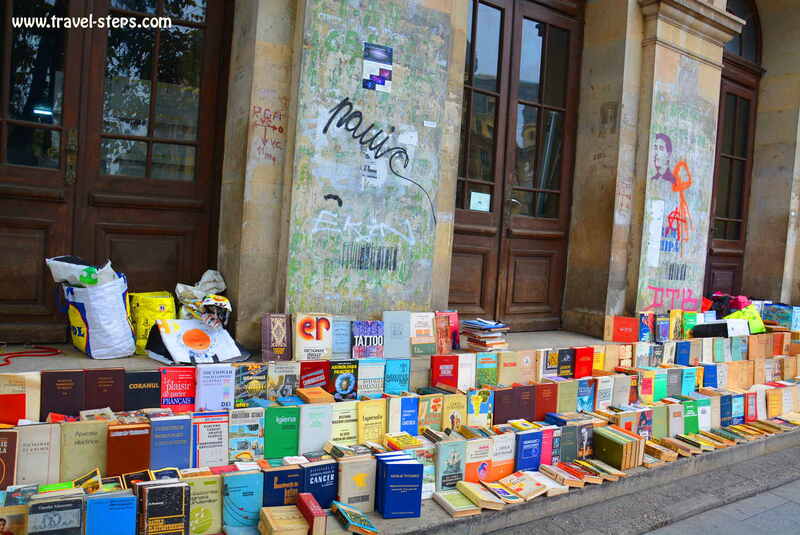 That is one of the free things to do in Timişoara. 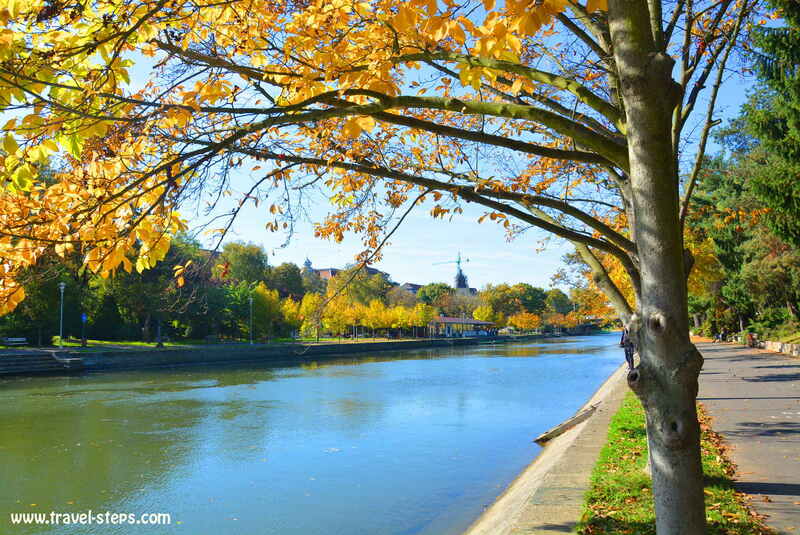 To get a rest from the tourist city center of Timişoara around Piata Unirii and Piata Libertatii with all their stylish cafés and restaurants, we went for a walk at the beautiful Bega River. There are benchen and walkways at the shores. We loved to sit down in the sun of the colorful autumn. 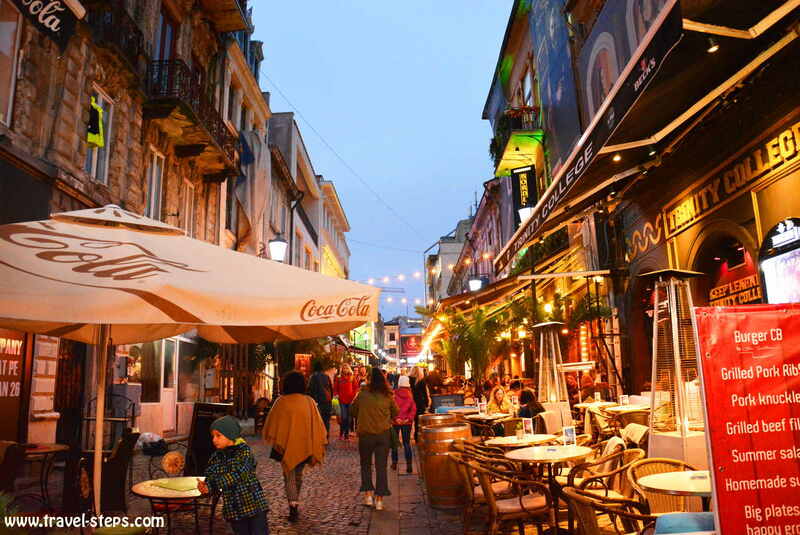 Just take care: Drinking alcohol in public places except bars and cafés is not allowed in Romania. Don’t get caught! 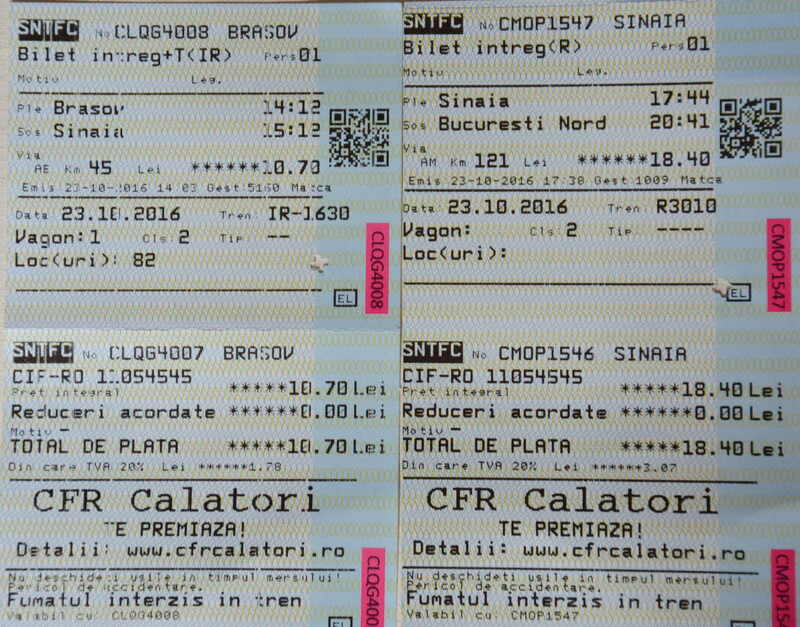 The lady in the Timişoara train office selling us the tickets for the night train to Brașov was a liar. A very friendly liar. We asked her: “Can you really sleep in the seats or do we need to book a place in the sleeper cabin?” She said: “Of yourse, you can sleep well there. It is an international train.” What she didn’t mention was: The neon lights won’t get switched off during the nights. And there was no way to move the seat in a comfortable position. It was a real fail. Well, it happens sometimes, if you travel on a budget. And I don’t know, if the night in the six bed sleeper cabin would have been much nicer, maybe listening to international snoring people. For us, it was another bad night in Romania. But traveling on a tight budget around Romania, we wanted to safe money by traveling overnight and not paying for a hostel, nor paying for a sleeper cabin. The trip was 89 Lei per person for around 488 kilometers. We needed to change trains in Arad and had to wait there for three hours. Of course, all the restaurants and bars around the train station of Arad were already closed, when we arrived. It was just after 10 pm. Best thing to do: Go for a walk. 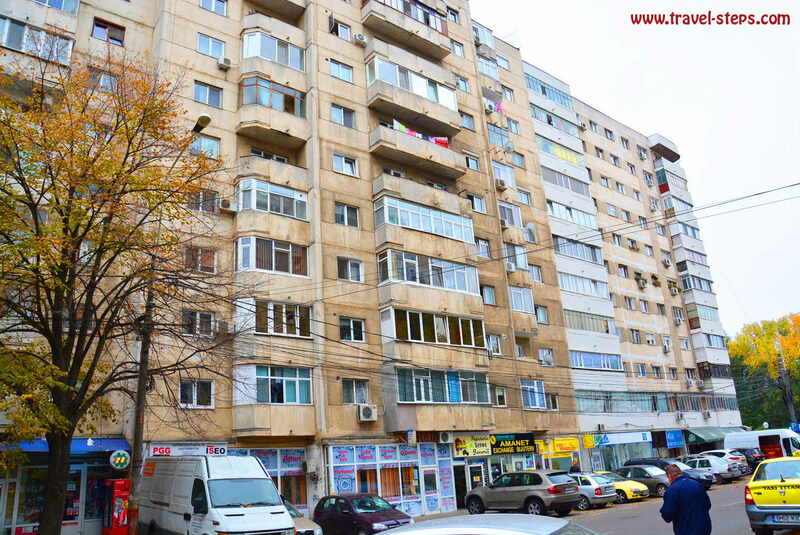 The city center of Arad is a 20 minute walk away from the train station. Welcome to Romania. Find official information about trains in Romania here. 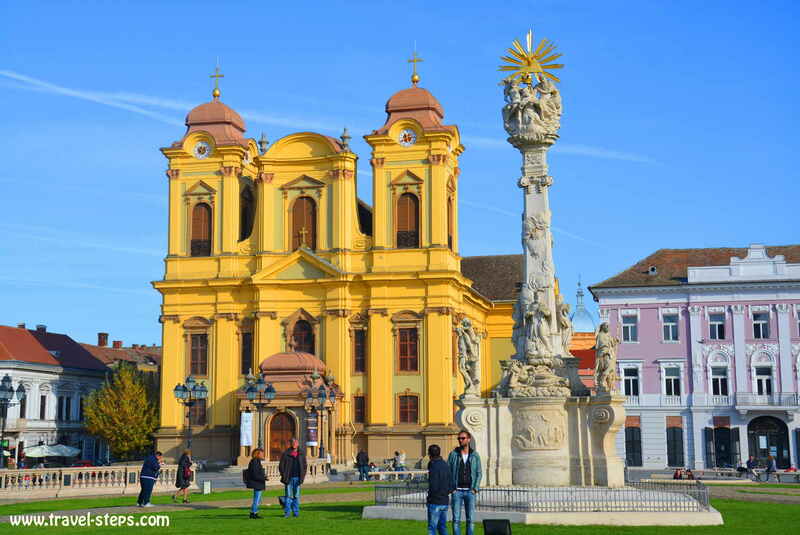 When you arrive in the concrete suburbs of Brașov, you cannot imagine the beauty of the city center. Just the slightly expensive shopping mall next to the train station give an impression of the city’s standard. It is high. Still, the Bus No.4 will take you to the city center for just 2 Lei within a few minutes. You don’t need the taxis, if you don’t want to use them. We arrived by train in Brașov with the morning sun. The air was still fresh, the town just waking up. 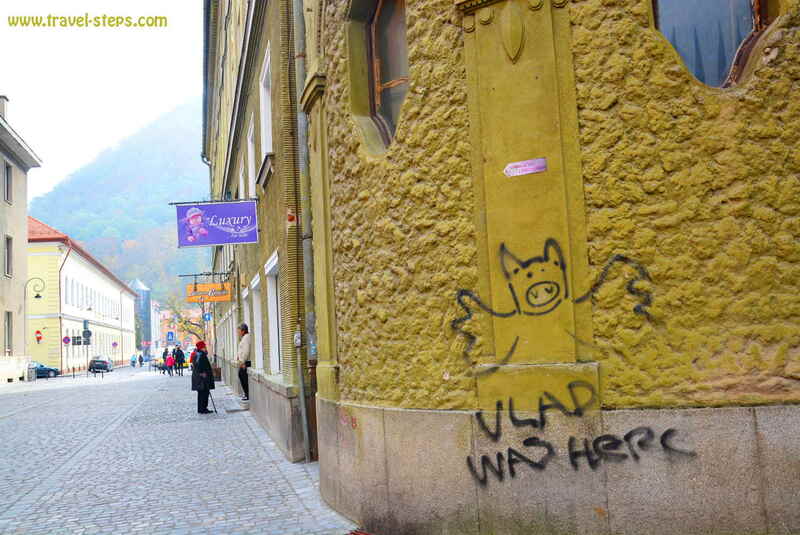 We really liked the atmosphere of Brașov. It is probably one of the most beautiful towns in Romania, beautifully set up. 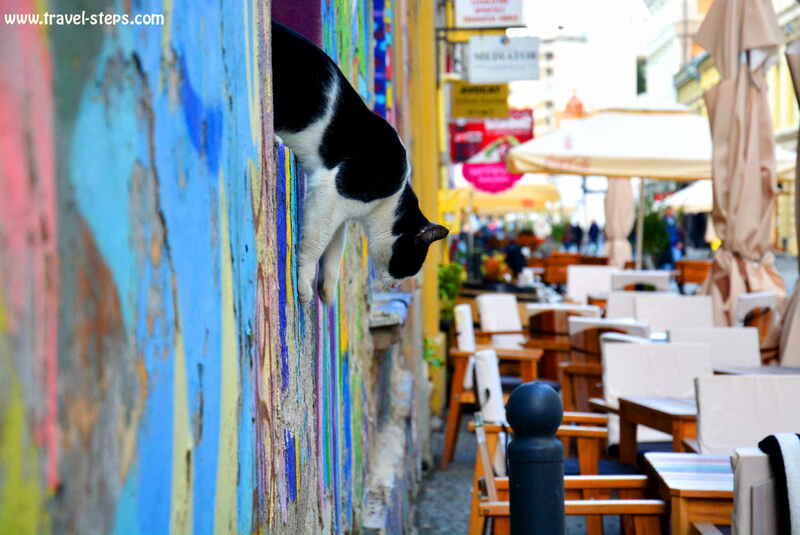 The architectural treasures are colorfully painted. We loved walking around. We smiled. The smile got smaller and smaller, when we looked around for a double room. The room prices were high. Still not comparable with most Western European tourist destinations. But they are on the way. While traveling around Romania, I carried around a “Rough guide to Romania” published in September 2016. Already a month later in October 2016, prices in most places had risen 10 to 20 percent. Either, the authors had done the research ages ago or prices rise ridiculously as soon as some hotels and hostels are mentioned in guidebooks. I had noticed the second phenomena in many places around the planet. That is why, I try to avoid these places. The first night in Brașov, we stayed in a hostel called Kismet Dao. We liked the relaxed vibe immediately. In most good hostels, you are paying not just for comfort and extraordinary rooms, but for the atmosphere, the possibility to meet other travelers and super helpful staff. That is, what many travelers enjoy a lot on backpacking trips. 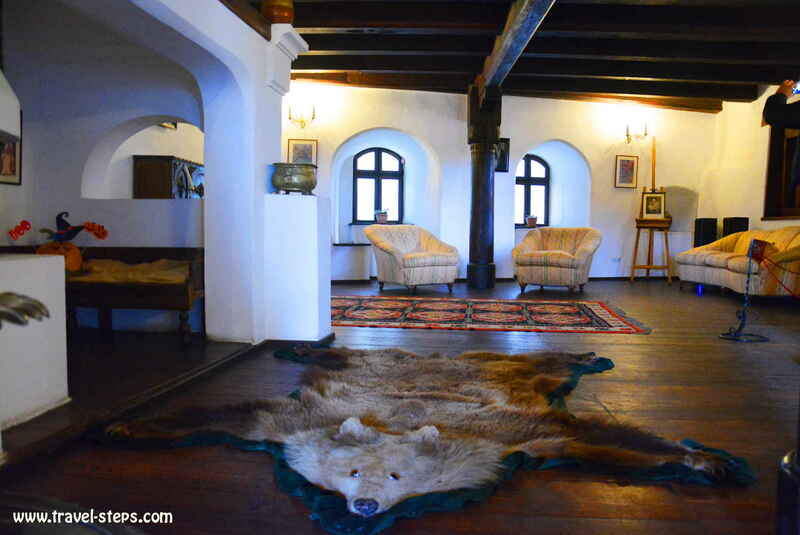 In the hostel Kismet Dao in Brașov, they have dorm beds and a few double rooms. And yes, we had good laughs in the evenings. It was fun joking with Romanian, Canadian and Australian travelers. And we didn’t regret staying in the dormitory, even if there was a guy snoring as hell. In october 2016, it was 54 Lei per person (12 Euros) in a dorm, including a drink. The best deal Brașov, that we were able to get spontaneously. It was basically the only deal, that we had been able to get spontaneously. There was a Heavy Metal Festival in Brașov. That was probably the reason, why there were no cheap double rooms left on booking platforms like www.booking.com. No one had told us about the extra few thousand people looking for a place to sleep in Brașov. Otherwise, it should not be a problem to find a room out of season. That is what everyone told us. The following night, the Kismet Dao hostel was fully booked. And to keep saving money, we moved to the Aro Sport Hotel. We paid 110 Lei (25 Euros) for one double room. A perfect place, if you are just looking for an anonymous simple clean room with a TV. It’s one of the real budget options within the city center. 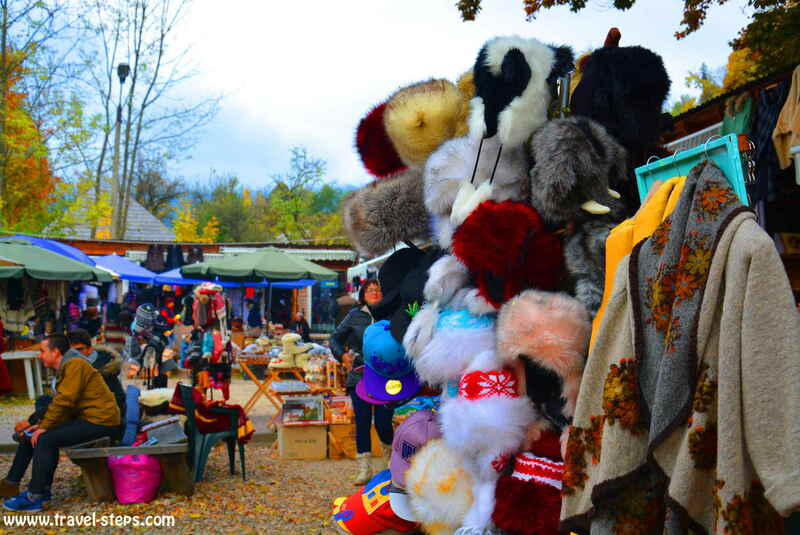 In Brașov, it is very easy to spend money quickly. Strada Republicii basically consists of restaurants catering for tourists. The interior design of some bars, cafés and restaurants are outstanding. It’s really nice to get some inspirations. Still, we were careful about where we left our money. We were still in Romania. So why spending 3 Euros for a cappuccino? You feel almost scammed. 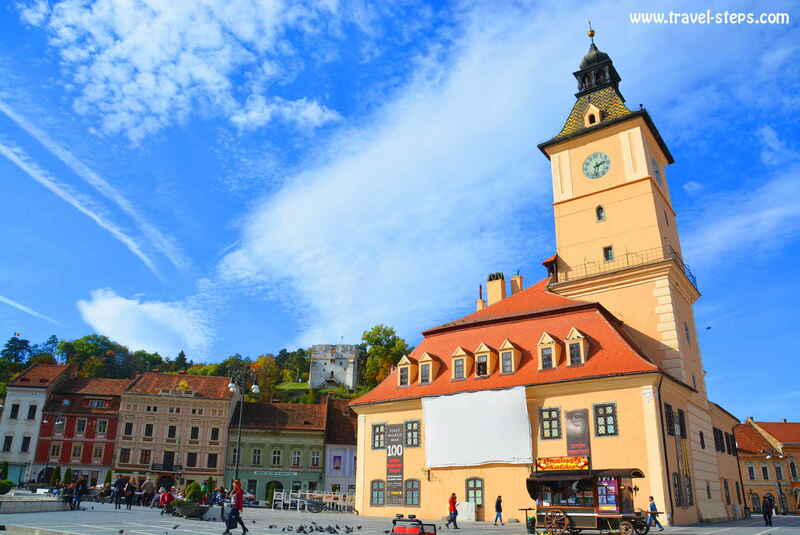 But Brasov is a different world full of creatively designed cafés and restaurants. But even in the city center, we found restaurants with relatively good deals as for example Berăria Ciucaș, where you were able to get a liter of beer for 8 Lei (less than 2 Euros) and a shockingly big plate of traditional food including sides and salad for 26 Lei (less than 6 Euros). 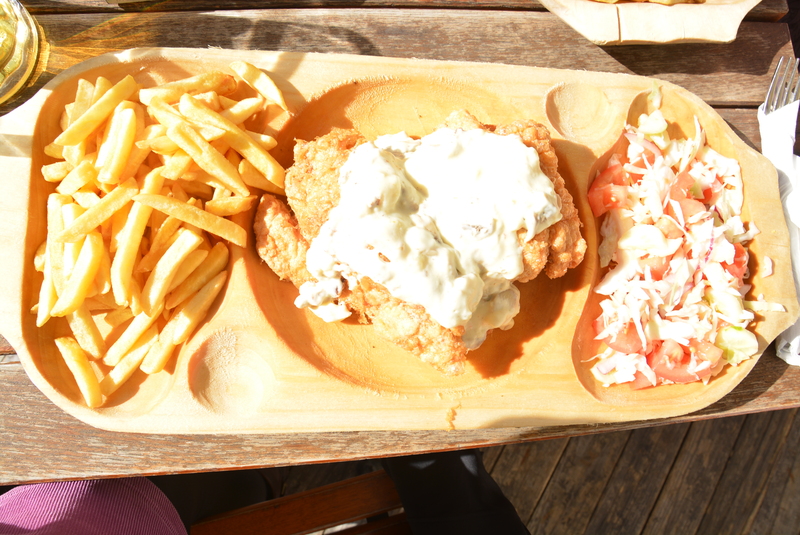 The plates were shockingly big. And the food was really good as almost everywhere, where we were eating. 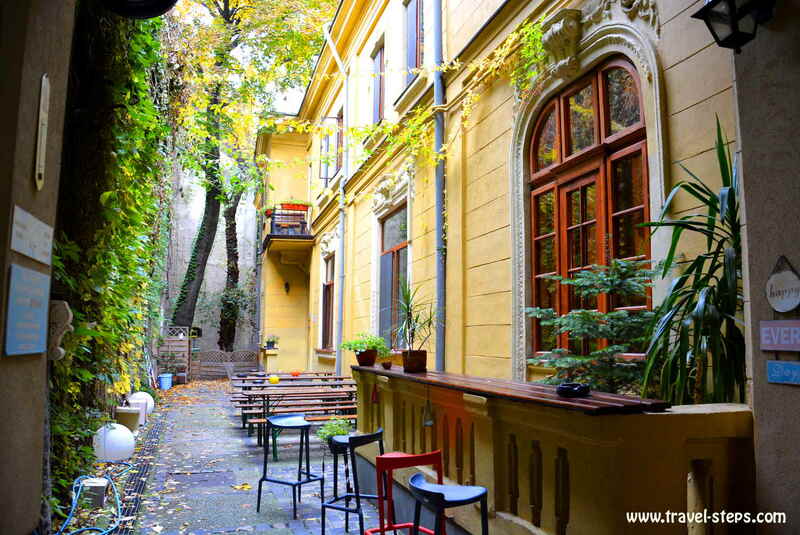 And the beer garden in the courtyard of Berăria Ciucaș is a perfect place to catch some sun and to view travelers from around the world. Just vegetarians have to improvise a bit. Romania clearly is a meat loving country. We found a second place in Brașov, that offers reasonable prices and a very good traditional kitchen: the Restaurant Transylvania. There, you are able to get a lunch menu for 14 Lei (around 3 Euros) or different soups for around 7 Lei (1,50 Euros) until 5 pm. Even in the evening, this place is not as expensive as many others. When we were there, almost everything went wrong. We got the wrong food, had to wait afterwards for ages. Still, I would recommend this place. I guess, that we were just a bit unlucky. In the end, the staff was serving the right very nice food feeling really sorry for the inconvenience. Read more about Restaurant Transylvania on Trip Advisor. 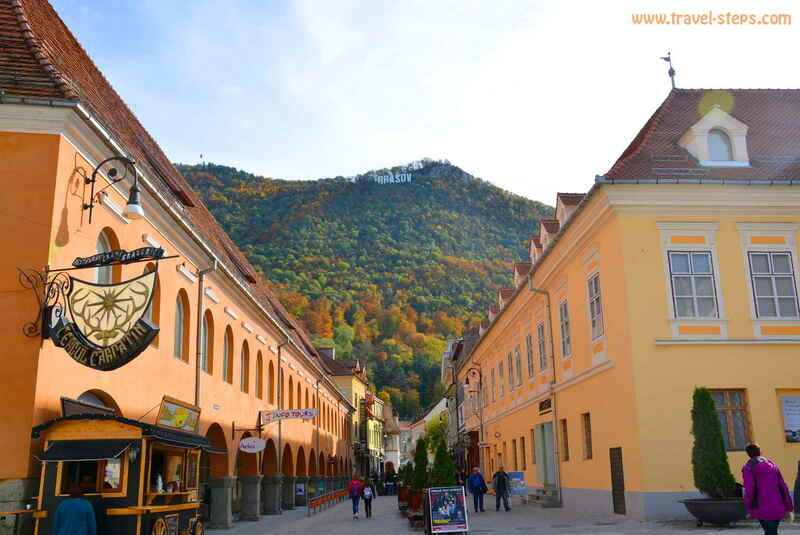 From a distance, you already see the big BRASOV sign. Just like the HOLLYWOOD letters. 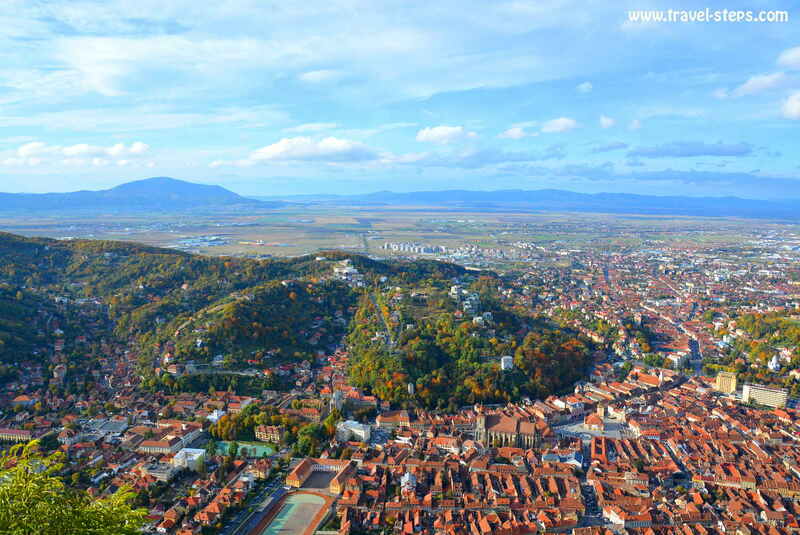 That top of the mountain Mount Tampa is the place to be to get a great view over Brașov. You can get there by cable car or just hike up by following the red triangle sign. The start of the hiking path is close to the cable car. It took us one hour to walk up. And it was a bit more exhausting than we thought to walk up the 960 meters. Luckily, we didn’t meet any bears. No joke. They are hanging out there. The hostel staff advised us not to be in the woods after sunset. 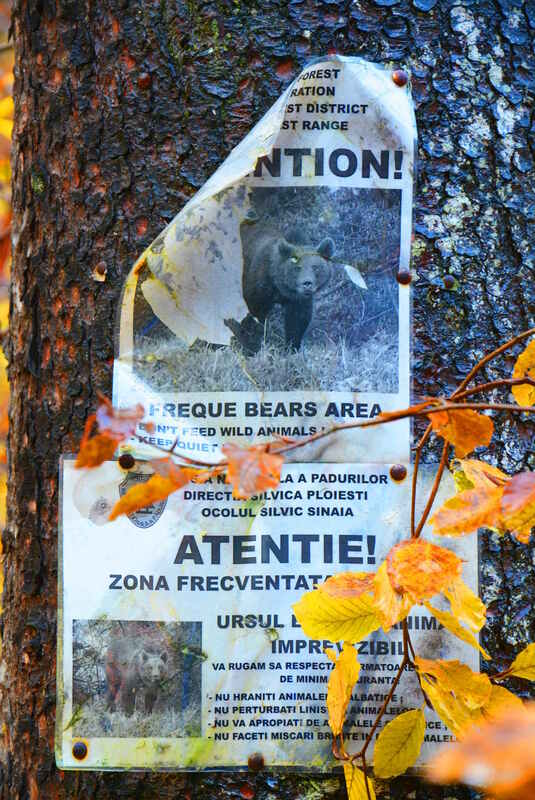 They had seen bears already in the city center of Brașov. Probably, it is a real problem on the more remote hiking trails. I first took it as a joke, but wasn’t too sure anymore, when I walked up. Even the guidebook recommended to take some bear protection like sprays on a hike. I was just happy, that there were some tourists around, that looked bigger and slower than me, being probably the more easy food for bears. The cable car up to Mount Tampa is for sure more comfortable and less adventurous. But in case, that you travel on a budget, safe the 16 Lei for the return trip. Or be lucky as we were. Some German ladies offered us their cable car tickets for the ride downhill because they wanted to walk instead. Thanks a lot! 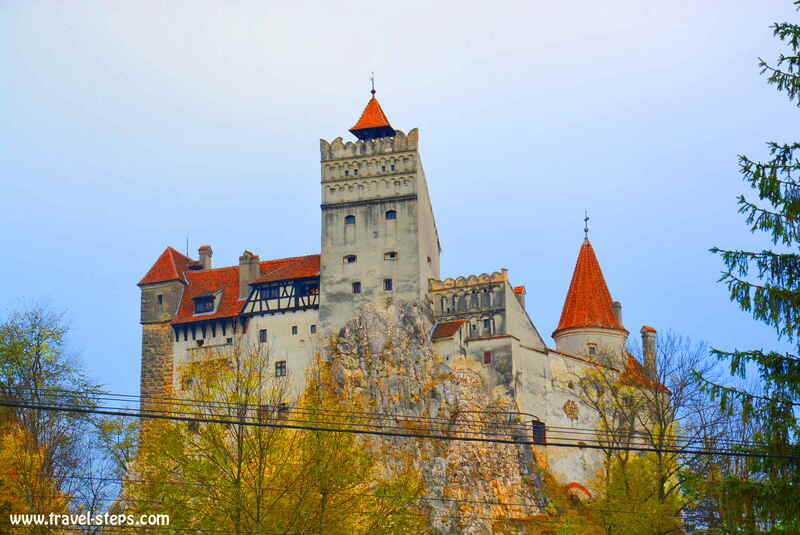 The main reason for coming to Transylvania and to Brașov while traveling around Romania was to visit Dracula’s Castle in Bran. 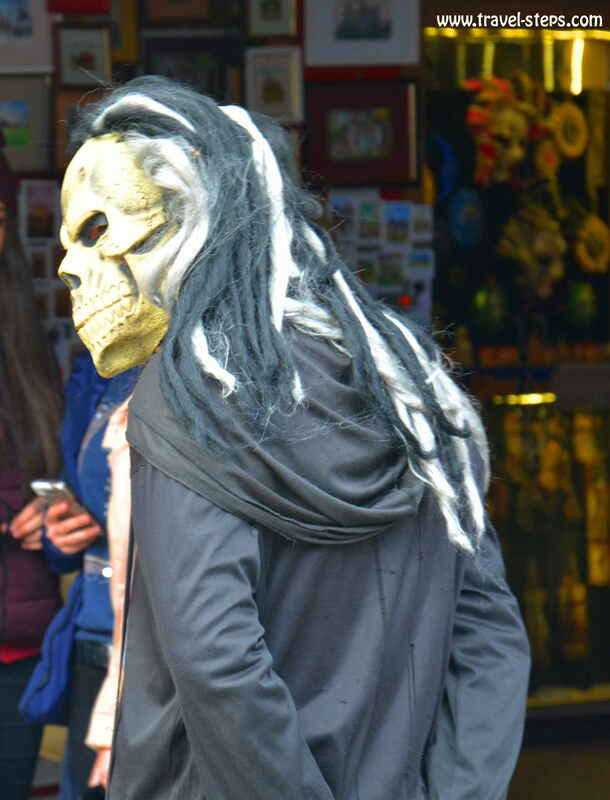 We knew, that it would be touristy, but I honestly had not expected the dozens of souvenir stalls, the hot wine stalls, the fairground like “ghost house” including a zombie and the long queue at the entrance. It still was all worth the trip. Some hotels and hostels offer expensive tours to different castles. It can be nice to have some company and a guide when you travel alone. But it is perfectly alright and easily manageable to visit Bran castle by yourself. From Piata Tatrului in Brașov, Bus No. 16 takes you to the Autogara 2, from where buses to Bran leave. From the Brașov train station, it is bus No. 23. Bus rides in Brașov cost 2 Lei (0,40 Euros). The bus to Bran takes one hour and costs 7 Lei (1,50 Euros). The entrance to Bran castle costs 35 Lei (8 Euros, October 2016). We had a brilliant time at Bran castle, because we were in the right mind-set, took some funny pictures, had some hot wine, looked around the souvenir stalls. You are clearly paying for the myth, for the experience to be inside Dracula’s castle. Don’t expect anything else and you will have a good day. 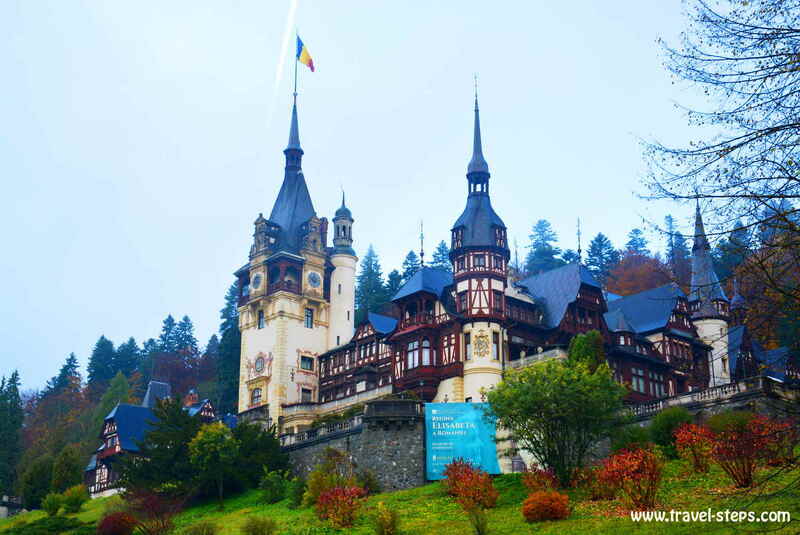 Concerning the tourist sights, it is meant to be one of the highlights of a trip to Romania: A visit at Peleș castle. It is truly beautiful. 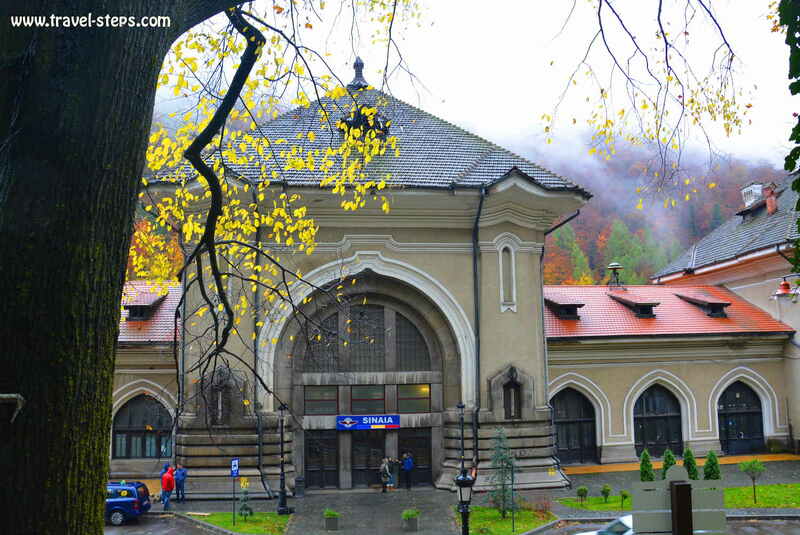 The fast train from Brașov takes one hour and costs around 10 Lei. There are several trains per day going to Bucharest. Most of them stop in Sinaia. If you don’t have a lot of time and are traveling through, you are able to do a stopover on the route between Bucharest and Brașov. On the way to Bucharest, we did a stopover in Sinaia. We went to Sinaia by train, got off for 3 hours, and took another train to Bucharest in the evening. This time, it was raining. Still, it was just a 20 minute walk from the train station up to the castle, passing the casino and the monastery on stairs up the mountain. There are tours from Brașov visiting three castles in one day – including Peleș castle. You pay at least 20 Euros just for these castle tours. These tours are just worth it, if you want to visit a lot of things in a short time within a group. Otherwise, you can get to every sight by yourself and by public transport a lot cheaper. 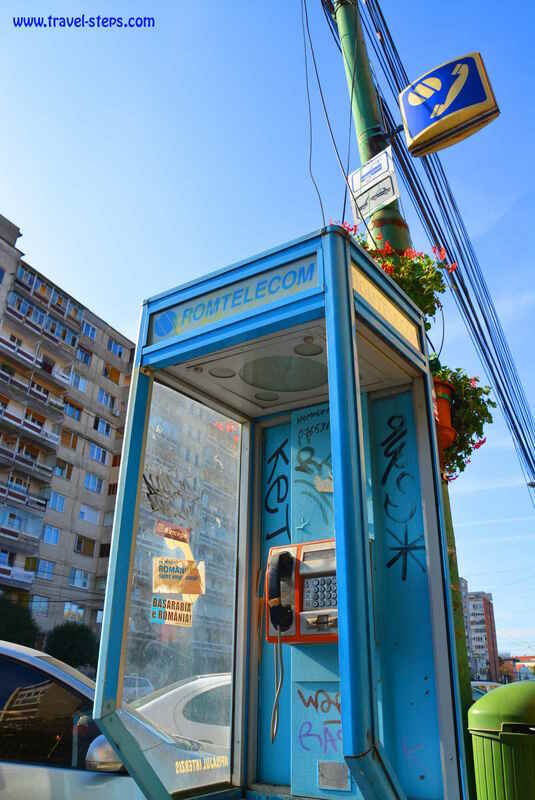 Bucharest is a city of contrasts. Gray and colors, cosmopolitan and traditional, creative and old, poor and rich. It’s impressing. And my camera just loved it. 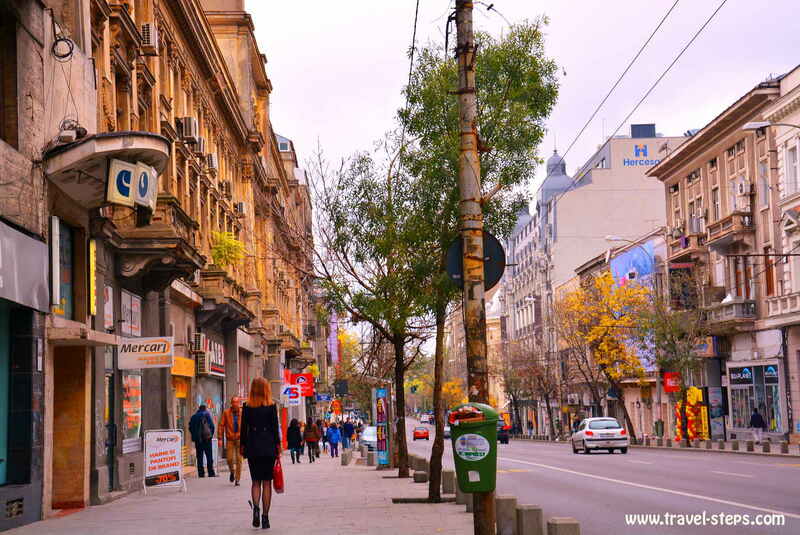 While traveling Romania, we met many travelers and Romanians, that told us, that one or two days in Bucharest would be enough to see the city. These are the same people, that travel all around Transylvania in three days needing just two hours to check out one city. But we love to discover places. 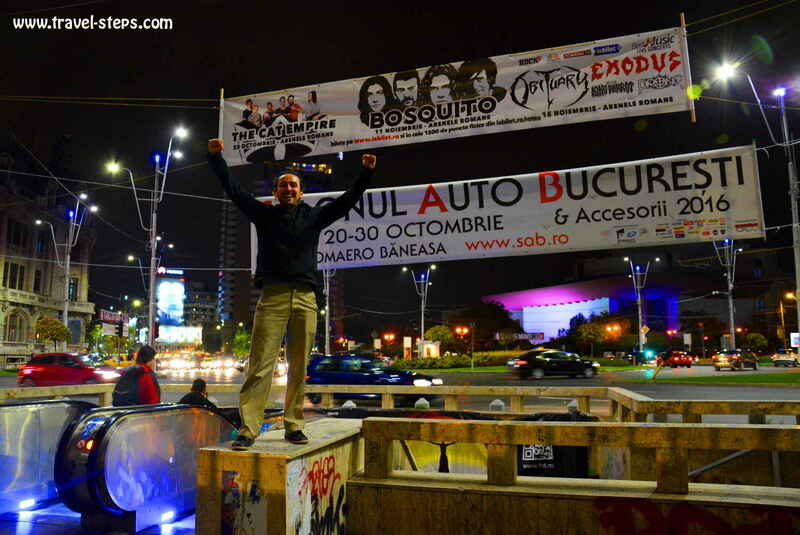 When we had to leave Bucharest after two days, we had just started to get a feeling for the city. It’s not so much about big sights. It’s about the details, the hidden treasures, the architecture, the museums, street art and the parks. In Bucharest, we stayed the first night in a private room. We had found it with airbnb already weeks before. 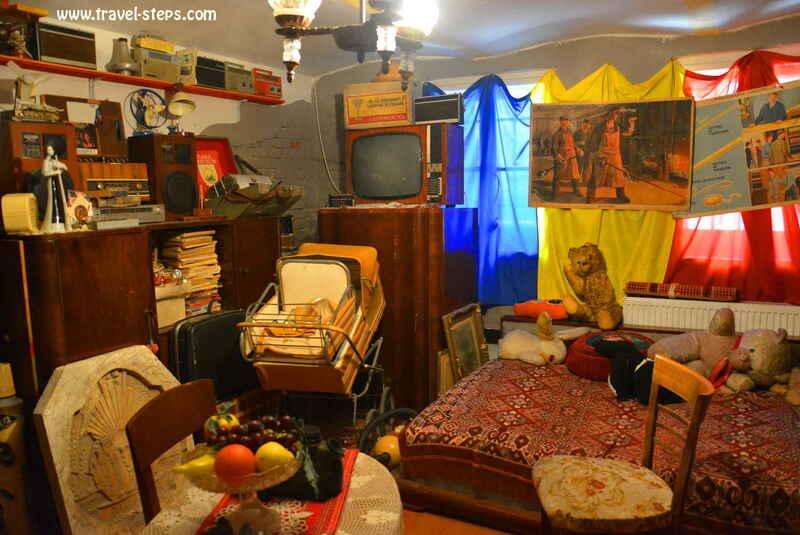 We wanted to see more of typical Romanian life. That is why we chose a communist style apartment block in the Southern suburbs. It took us 40 minutes by bus to the city center. 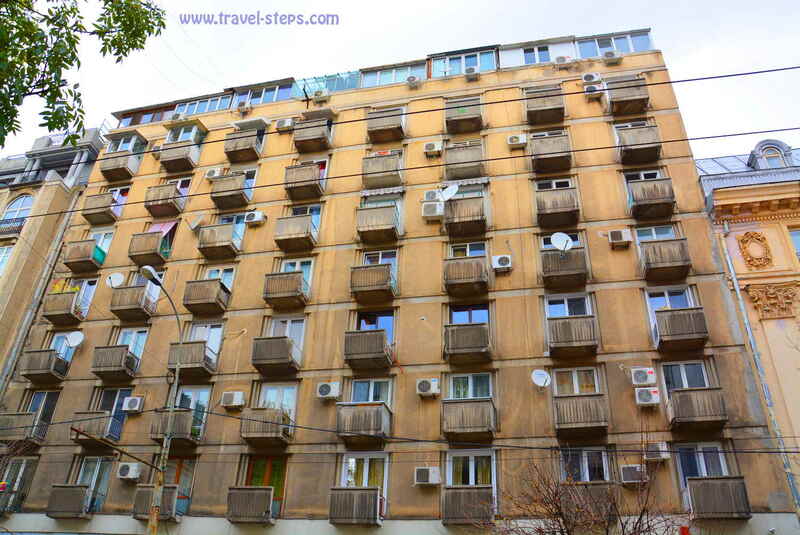 While we usually had great experiences with airbnb and had just met very friendly people until then, we left our accommodation in Bucharest after the first night. We left, although we had paid for a second night. A few things went terribly wrong. We felt very unwelcome. The host basically needed money urgently to pay the rent. That’s okay. But there was no further help, no further “unnecessary” communication, no advise about public transport, just a few warnings not to steal anything or to misbehave. 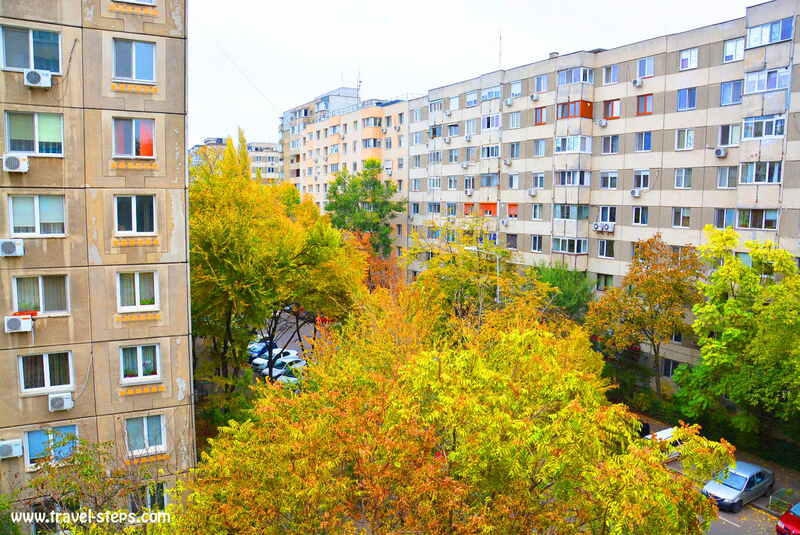 When we left our strange airbnb host and the suburban apartment blocks of Bucharest the following morning, it was still very interesting to see the architectural contrast of the suburban communist style apartment blocks to the city center. There were thousands of flats in gray buildings as witnesses of a former period of history. Probably the majority of the inhabitants were living there. Gray is the major color of houses. It was interesting to get a glimpse of daily life in the suburbs. To meet smiling helpful people. A lot of tourists never get there. By bus, we passed blocks and more blocks of gray suburbia. The bus was crowded. Overcrowded. 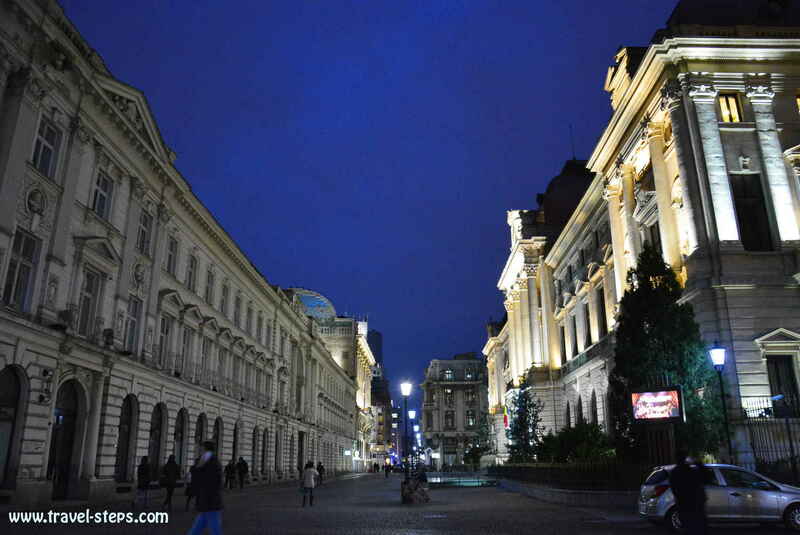 When we arrived in the city center of Bucharest while traveling around Romania, the predominant color was still gray. But there was life in between the buildings. There were hundreds of banks around. Museums. And History. I was almost able to smell the traces of the past in the air. 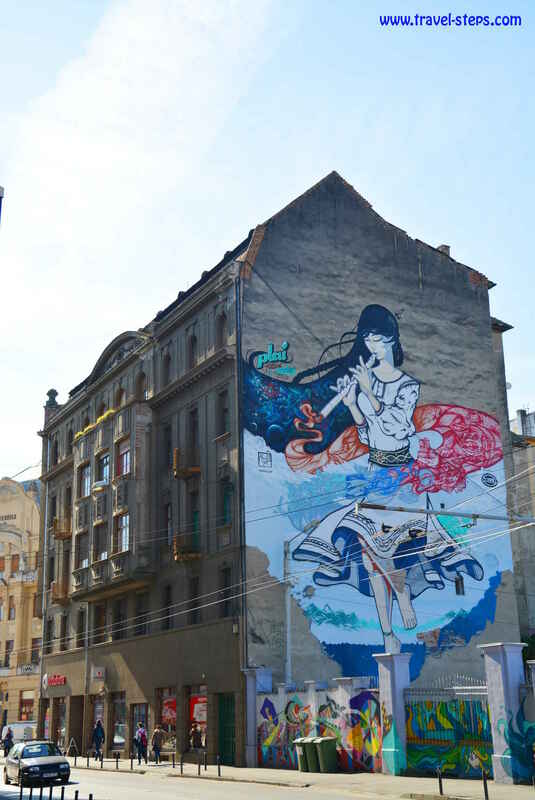 And I was able to imagine, how Bucharest will probably have changed in a few years, how much just color at the buildings would help to emphasize the beauty of the city. But I was already impressed by what I saw on our backpacking trip around Romania in October 2016. I still didn’t see the big brands, that dominate Western cities. I didn’t see many clothing shops. I didn’t see a lot of things to consume apart from the typical American fast food chains and a few restaurants, pastry shops and local eateries. So where do the locals go shopping for clothes? For sure, there are big shopping malls in Bucharest. 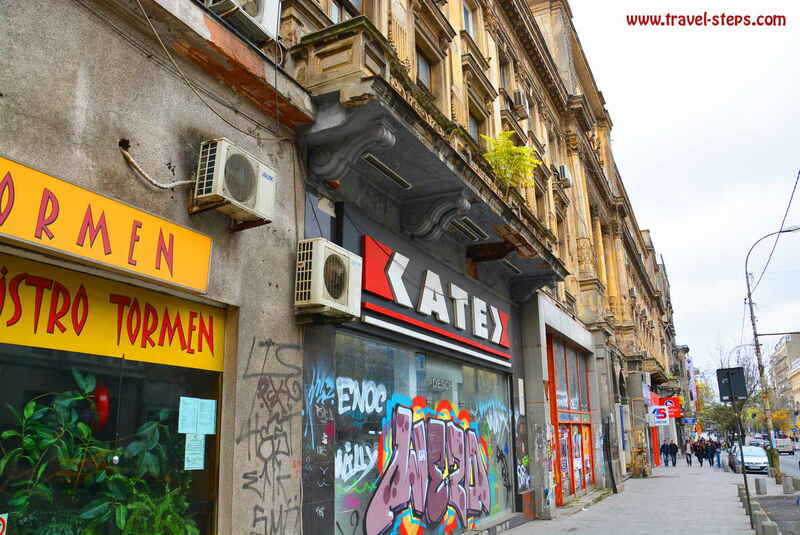 But with an average income of around 500 Euros per month, the majority of Romanians won’t be able to afford any exclusive Brands. Very popular with Romanians are for example the big markets “Europa” and “Dragonul Rosu” in the outskirts of Bucharest. 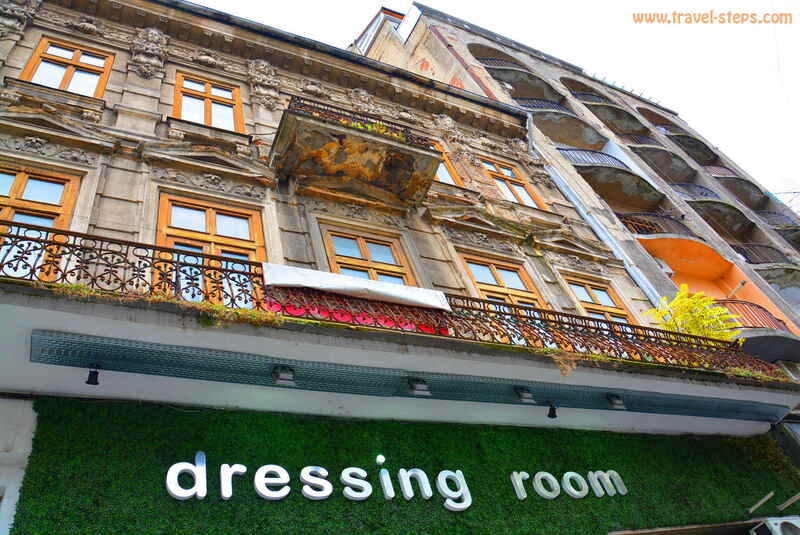 Find some details about shopping malls of Bucharest here. In Old town, you were almost able to see the money of the tourists, of the elite. Buildings had been renovated housing bars and more bars, restaurants and clubs. Romanian girls were trying to pull guests into their locations. Too many concurring bars. But to be honest, they reminded me of prostitutes. Some being more desperate than others. One girl with a plastic frappuccino in her hands was almost begging to get us into her bar. It really put me off. And the prices in Bucharest’s old town are far too expensive. We walked around for a while and didn’t really feel like entering one of these bars. We finally ended up in one bar called “Oktoberfest”. It feels a little stupid, going in a bar with a German name, when you are from Germany and usually don’t even like Oktoberfests. But the location felt more down to earth with a draught beer for just 7 Lei and the young people looking normal and more alternatively dressed than in the other bars. 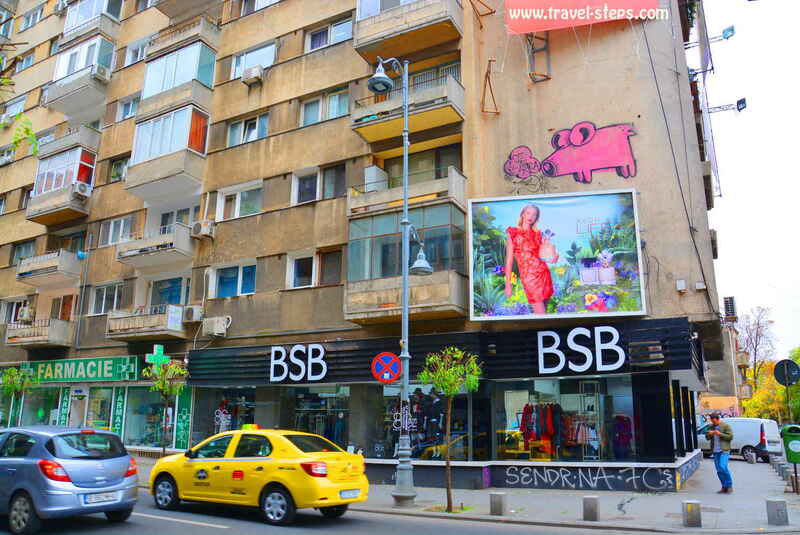 In Bucharest, we slept in the Umbrella Hostel right in the city center. On a backpacking trip around Romania, I can recommend it as a very good place to meet other travelers and to get good advise about sightseeing and restaurants. We met other backpackers, that we had already seen in Timişoara. The dorm bed was 45 Lei (less than 10 Euros) in October 2016. Also double rooms are available, but were fully booked the day, when we arrived. The guys at the reception are very helpful and can also make reservations for tours through the Parliament Building. We really liked it, because almost all major city sights are within walking distance as well as really good pastry shops, a post office, a supermarket, which is open 24 hours and a La-Mama-restaurant. 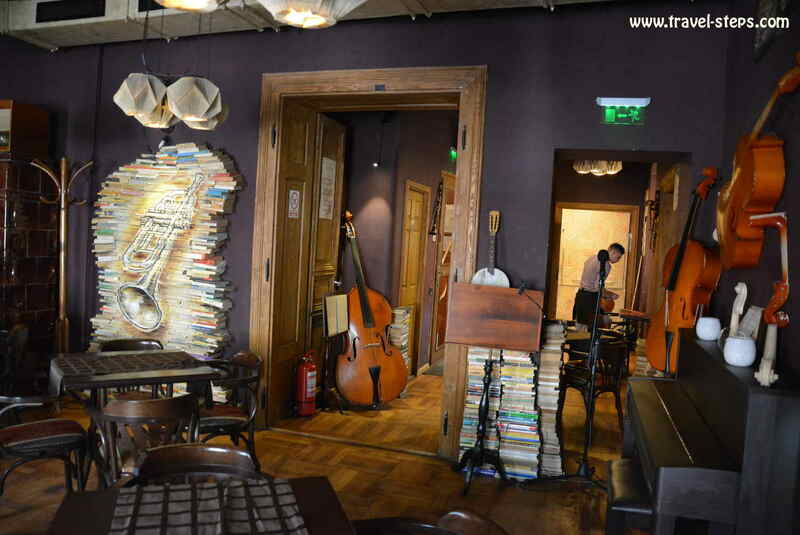 The restaurants of La Mama were our favorite places in Bucharest with lunch menus for 20 Lei (4,50 Euros) and a nice atmosphere, English menus and reasonable prices. 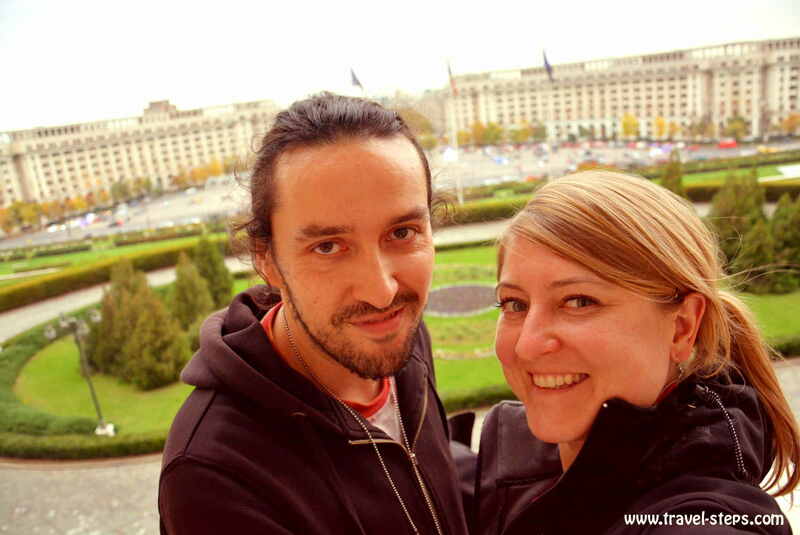 It was clearly one of our highlights to visit the Parliament Building in Bucharest while traveling around Romania. 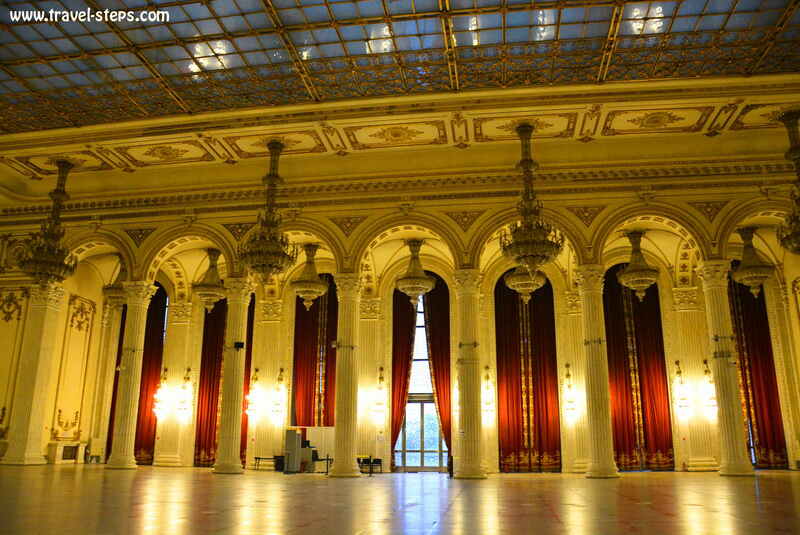 With its palace-like interior, the Parliament Building represents one of the darkest chapters of Romanian history. 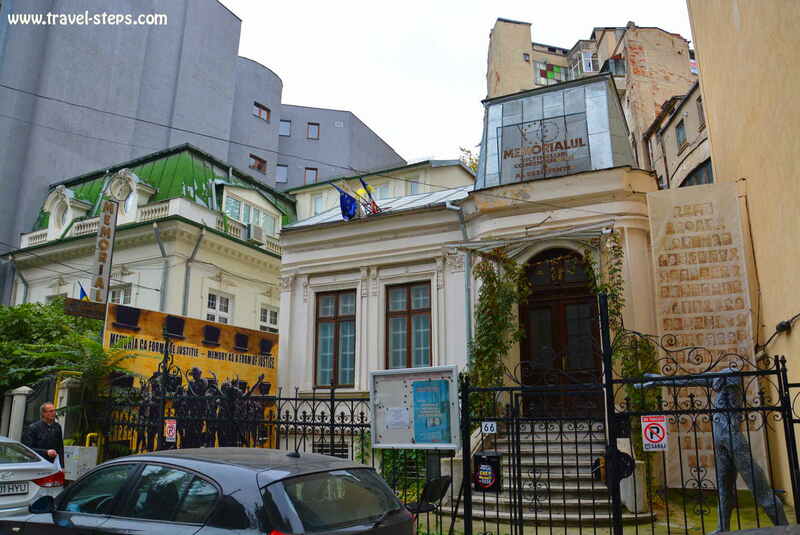 On a tour through the building, you see the traces of the crazy and terrible dictatorship of megalomaniac Nicolae Ceaușescu and his wife Elena. On the tour, we walked trough rooms with marble floors and amazing chandeliers. We felt like in Cinderella’s castle and a golden madhouse at the same time, stunned and shocked, but very impressed. The tour was 35 Lei, but really worth the money. We had an English standard tour with a very motivated guide, who herself had experienced the last years of the Ceaușescu regime. She was telling us about the years with food and electricity shortage. She was speaking about the years, when the Parliament Building got built. Thousands of people had to get relocated because of that. The Umbrella Hostel had made the reservation for the tour in the morning. We just had to bring our passports. The controls at the entrance were strict like at the airport. And the tour guide did a really great job. It was also interesting to be on a tour with non-English-speaking Chinese tourists, dressed in communist gray and black. They had their own Chinese guide. And I would have loved to listen to what the guide said on their tour. The whole tour took one hour, but was worth every minute. Find more details about tours of the Parliament Building and reservations here. 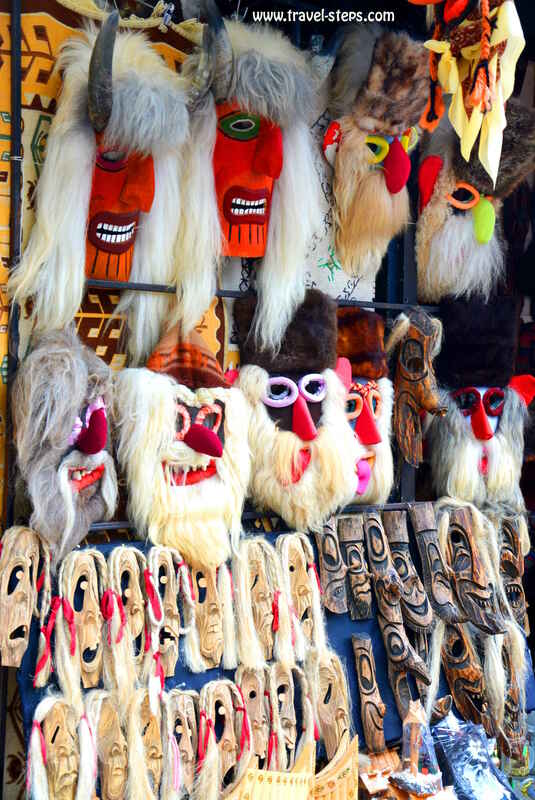 When you travel on a budget around Romania, you might be happy about saving money and still find some interesting things to see. 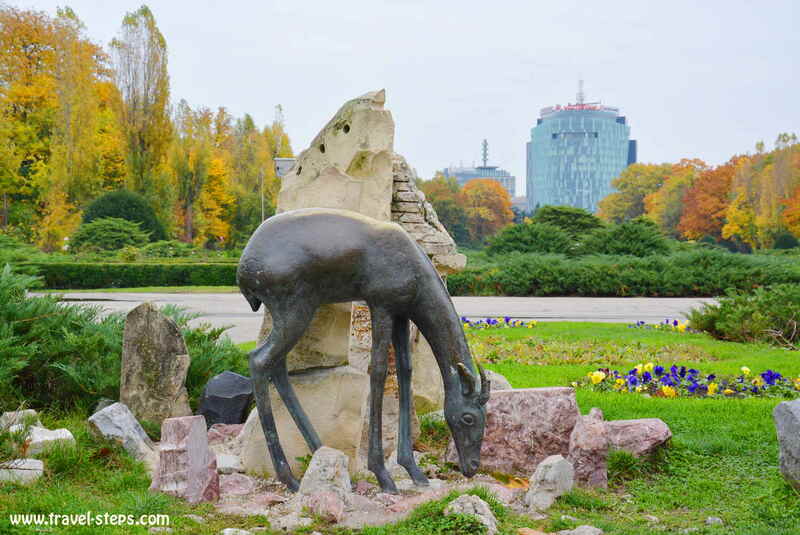 Well, Bucharest is a kind of open air Museum itself offering places and open air art pieces. 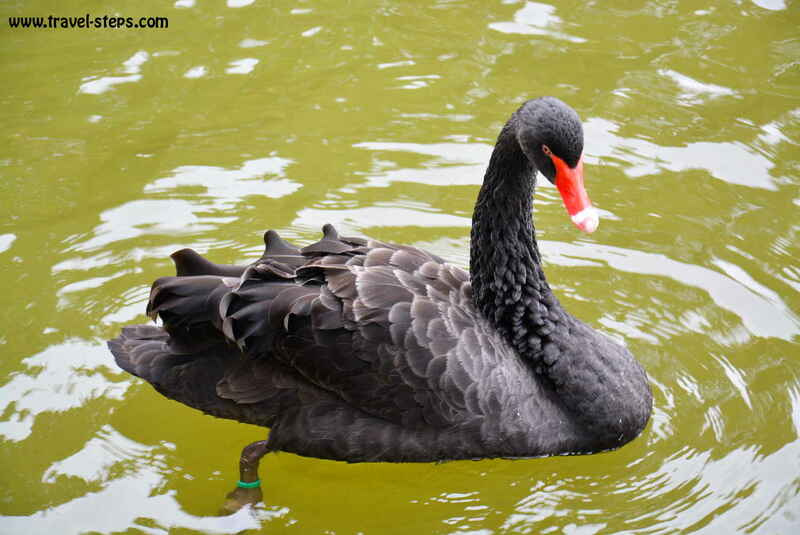 Walking through the beautiful parks of the city with black swans, small lakes and monuments is one of the really nice free things to do. 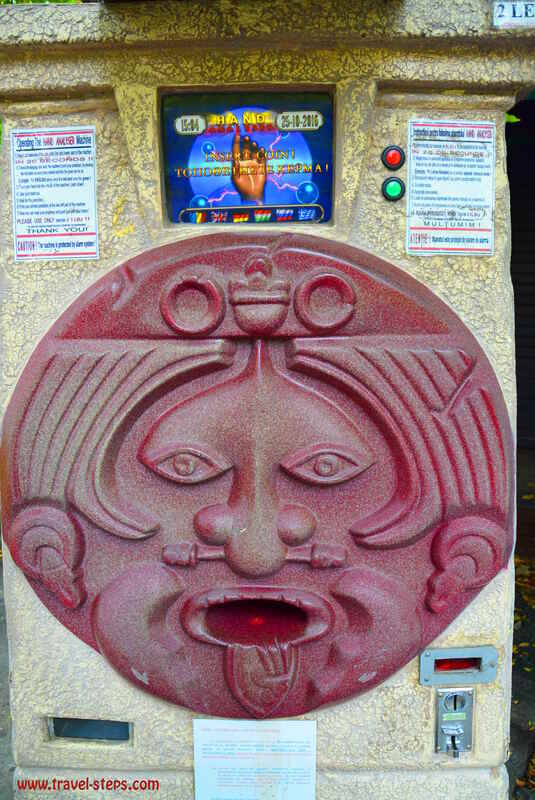 We also tested the palm reading machine in the Cismigiu Park at the lake for 2 Lei (0,40 Euros). We though, it was rubbish, but exiting at the same time. You put your hand inside and your hand palms get scanned. First, we were a bit shocked not just to hear nice things about our personalities and future. But we were also impressed about how well the results were matching our personalities. 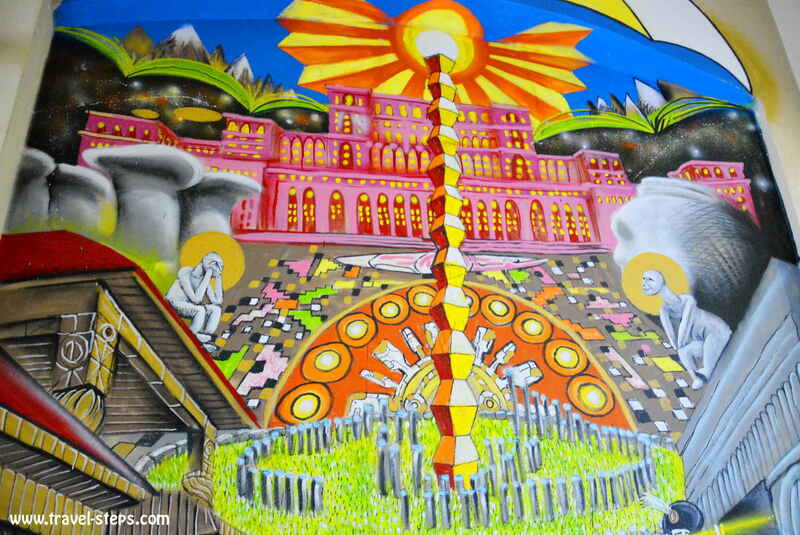 Even better: Watch street art at Garajul Ciclop. And if you are interested in history of communist Romania, visit the free Sighet Memorial Exhibition Space in Bucharest, No. 66, Jean Louis Calderon Street just off C.A. Rosetti Street. It is open from october 16th to april 14th from 10am to 4 pm and april 15th to october 15th from 9.30am to 6.30pm. 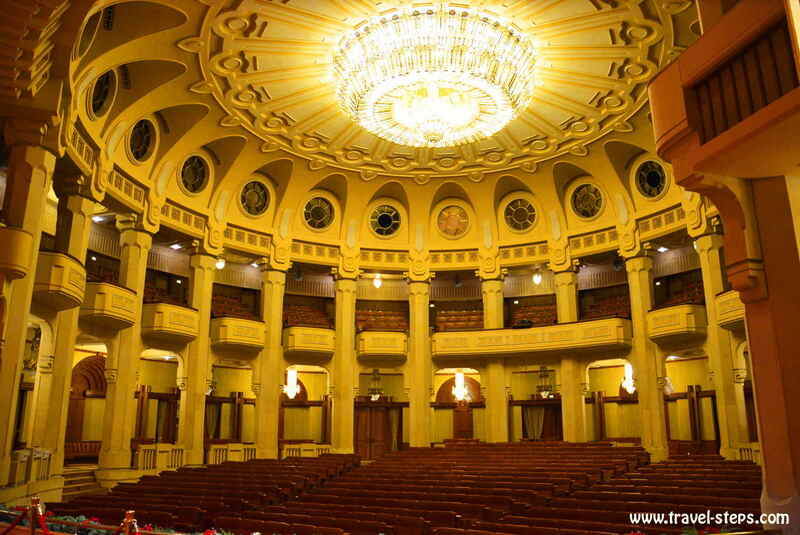 There are more tips about free things to do in Bucharest. 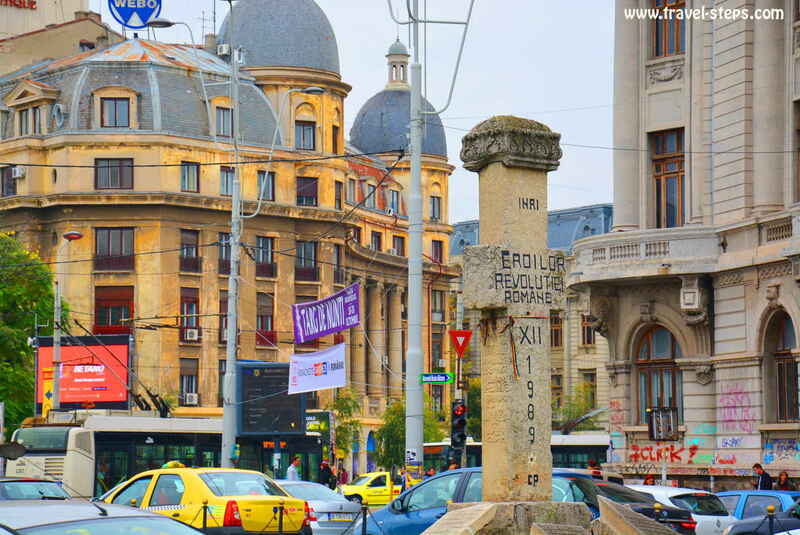 In Bucharest, we were involuntarily always using the public transport without a ticket. It is just very difficult to buy tickets for the public transport spontaneously. When we arrived at the train station at night, we didn’t find out how to buy tickets for the bus. We didn’t have much time to look around. We wanted, but were not able to. Same in the suburbs. There was just no ticket machine at our stop. No kiosk was selling them. We had to walk o the next bigger stop. The lady in the kiosk there didn’t speak English. It was not so easy to buy just a ticket. We seriously needed the help of a 14-year-old boy, who was translating for us. With his help, we understood, that we needed to buy a rechargeable card first. 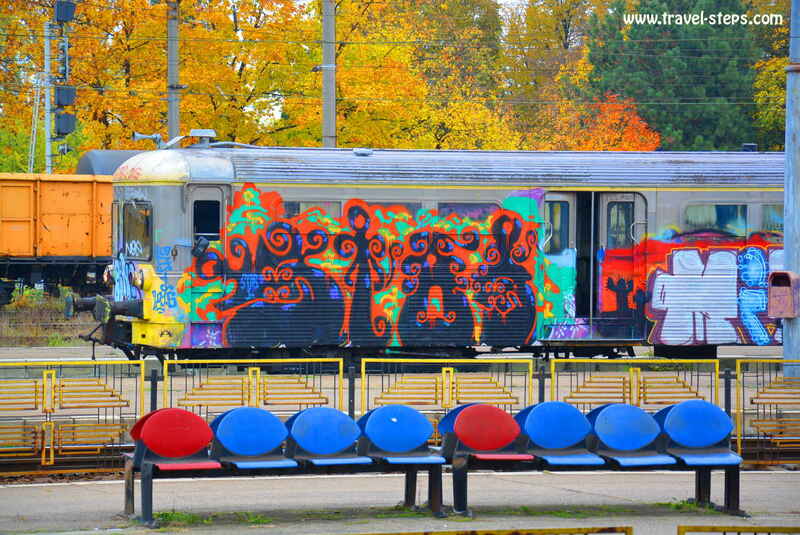 You can find a great explanation of Bucharest’s public transport system, prices and tariffs on www.inyourpocket.com. More official information about public transport here. The 780 Express line connects Bucharest Henri Coandă International Airport with the Gara de Nord (main railway station). The 783 Express line connects Bucharest Henri Coandă International Airport with the city center. This line runs day and night. At night, the bus leaves every 40 minutes. Tickets from the city center cost 8 Lei per person. When we tried to buy tickets for the bus to the airport at a ticket booth on Boulevard Gheorghe Nagheru close to Piata Romana, the office was closed. It was the main rush hour in the middle of the city centre. At the window was a handwritten note in Romanian saying something like “I’m back in 15 minutes”. We waited. No one was back after 15 minutes. Our bus came. The airport bus was just running every 20 to 30 minutes, so we just boarded the bus without a ticket. Bucharest’s bus company made a really bad business with us. Sorry. We always tried hard to buy tickets. But it was just almost always impossible. The bus ride to the airport took one hour. And we didn’t have any time to lose. This time. We are already exited to come back to Romania. Read more about airport transport here. Do I need a visa for Romania? If you need a visa for Romania depends on your nationality. As a EU citizen on holidays, you clearly don’t. Find out more about visa regulations at the Ministry of Foreign Affairs. After six days of traveling around Romania, we were sure: Romania is a very underestimated travel destination. 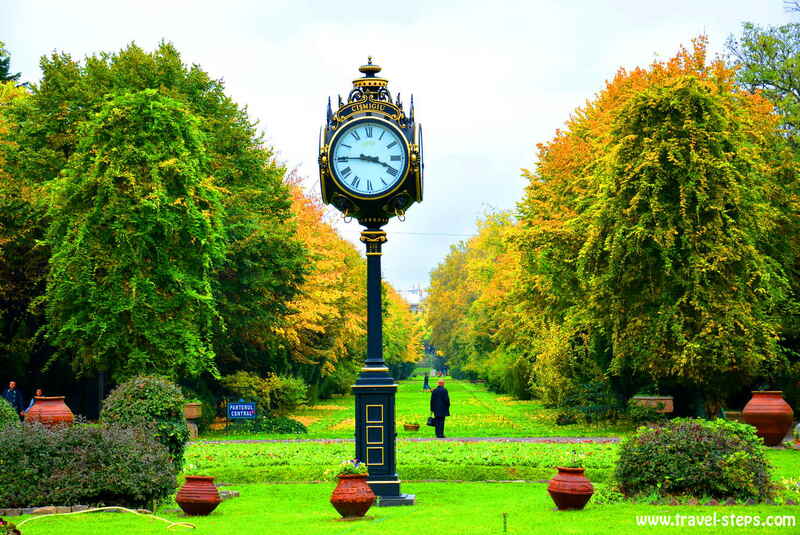 No matter, if you just spend a weekend in Bucharest or travel a few days through the whole country, there is a lot to discover. You get great value for your money in restaurants, hotels and hostels – as long as you at least try to avoid tourist traps. The food is in general really good. 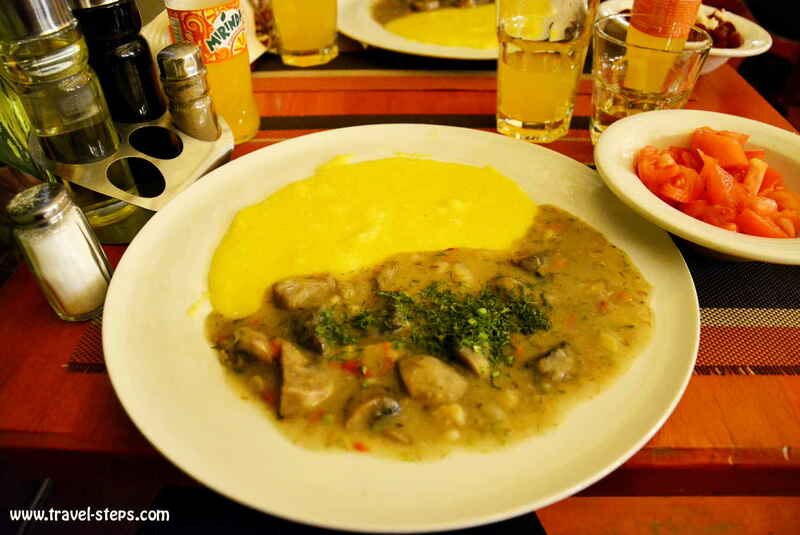 It is also worth trying the traditional soups and the pastry shops with a lot of good vegetarian offers – no matter if you are on a budget or not. The views from the train windows are mostly amazing. And there is no problem to reach the bigger destinations with public transport. We met Romanians just being very friendly and helpful. 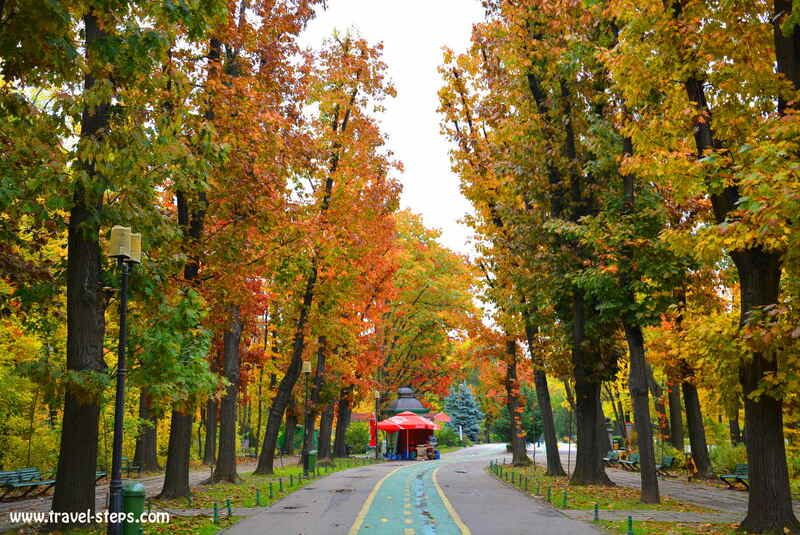 We are sure, that we want to come back and see more of Romania.